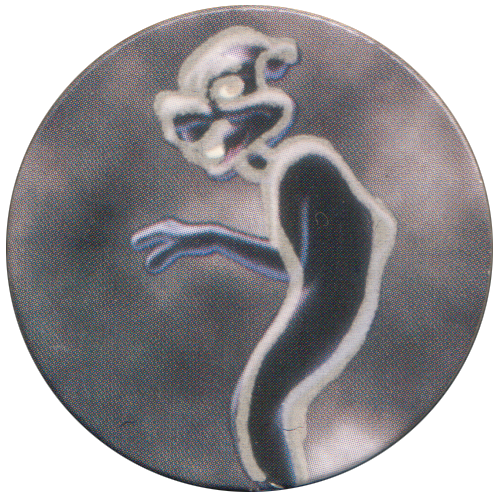 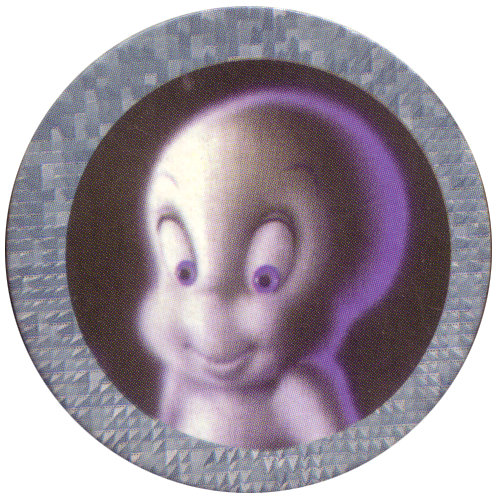 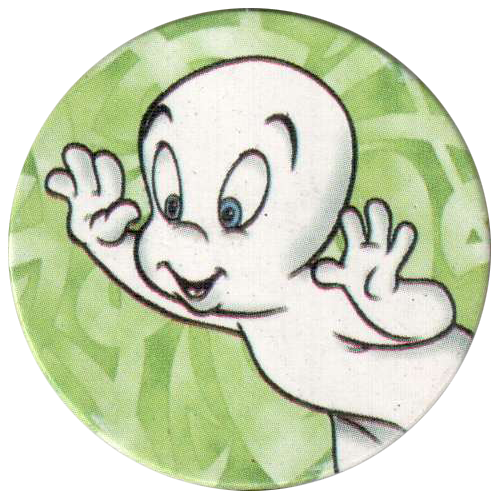 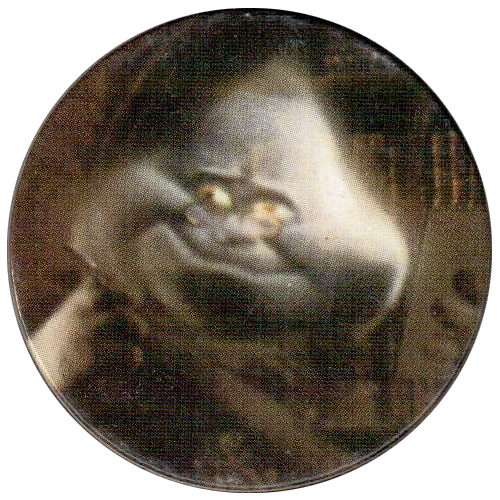 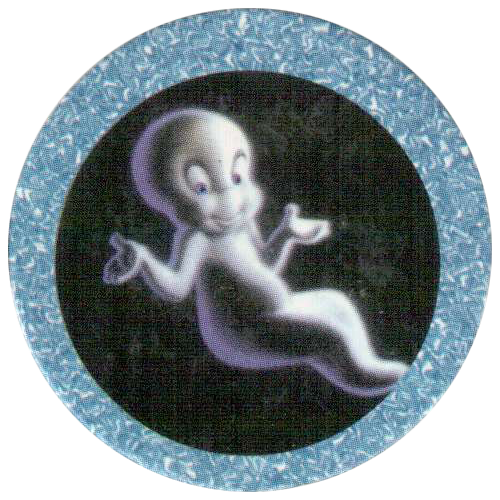 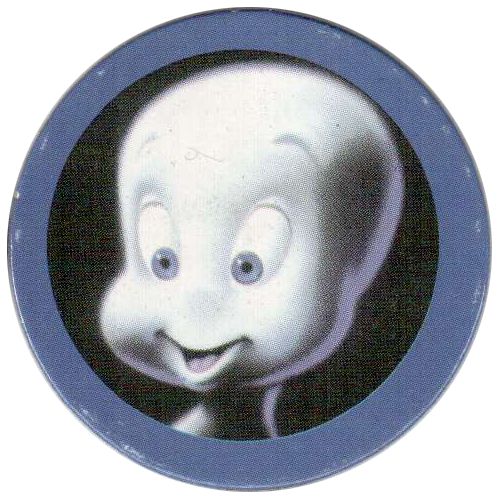 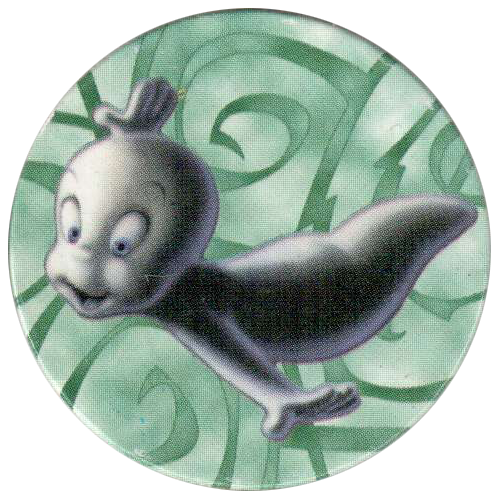 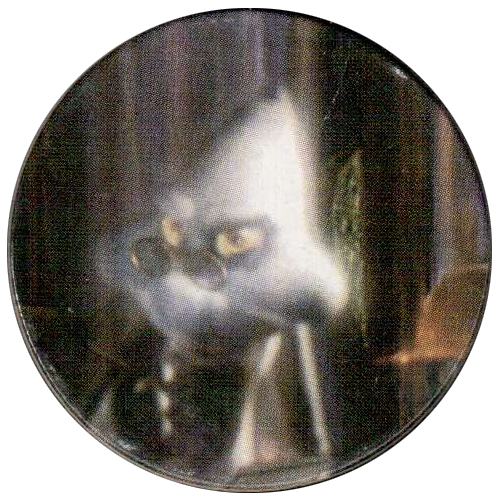 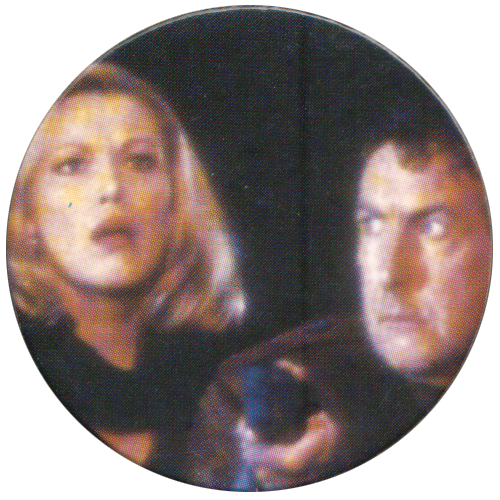 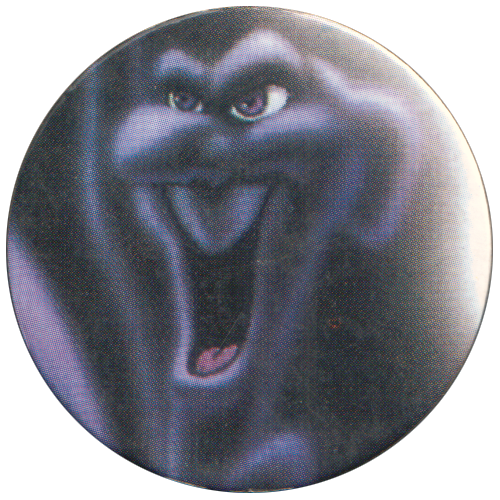 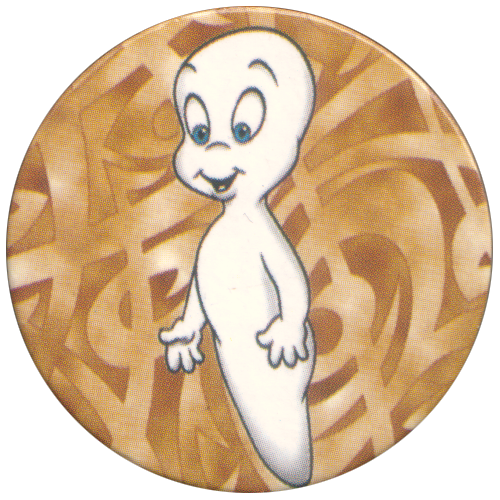 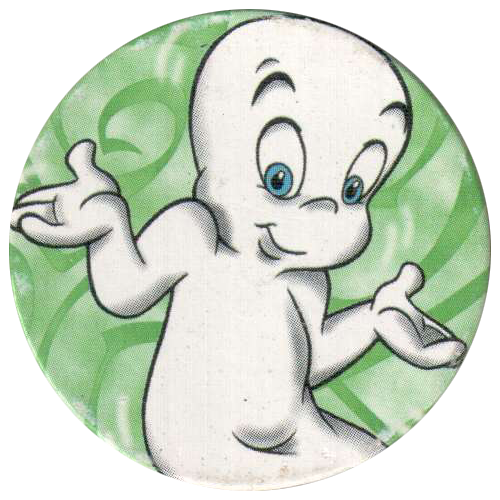 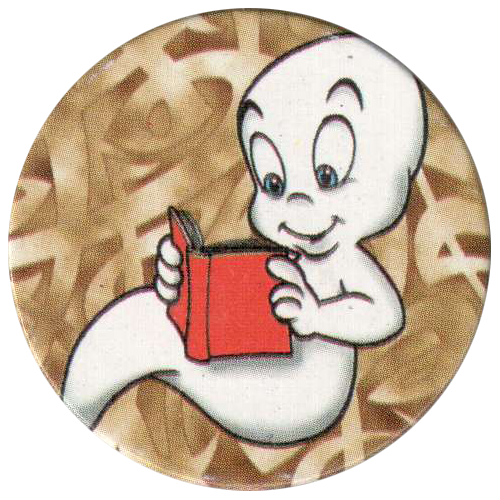 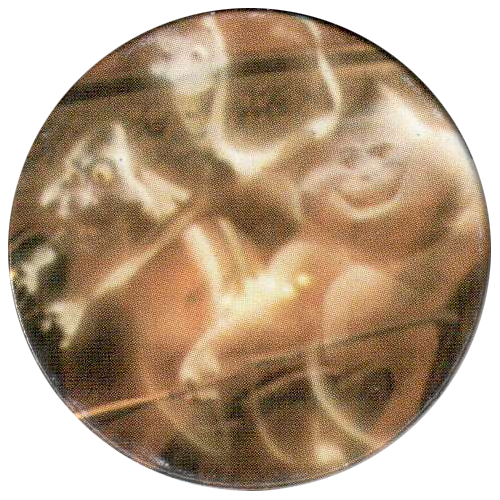 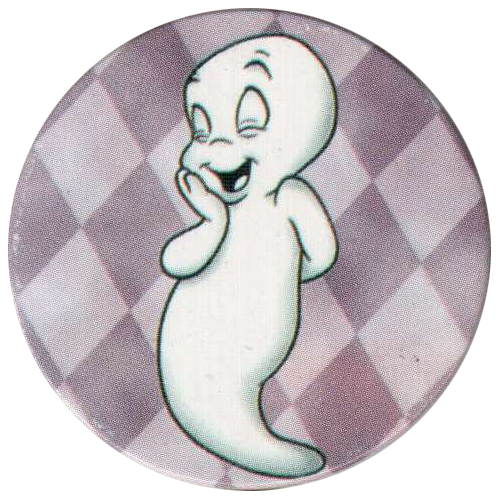 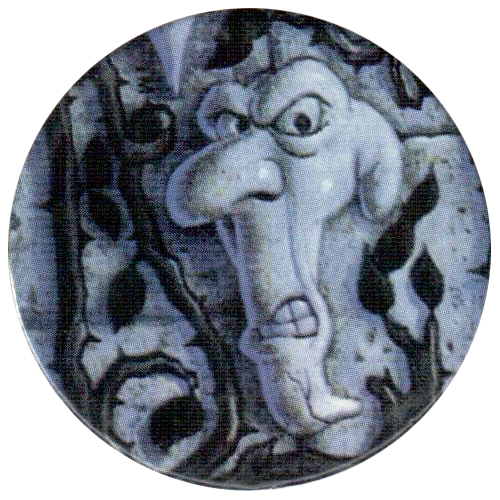 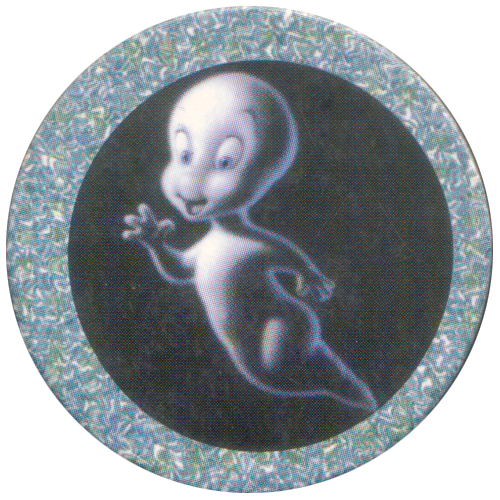 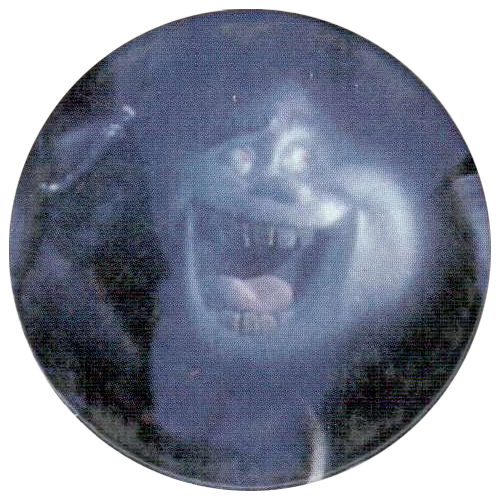 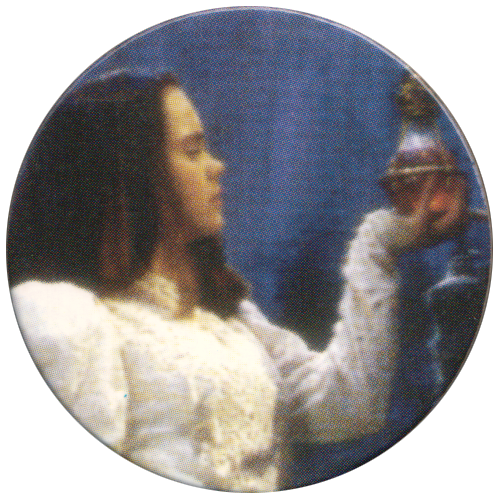 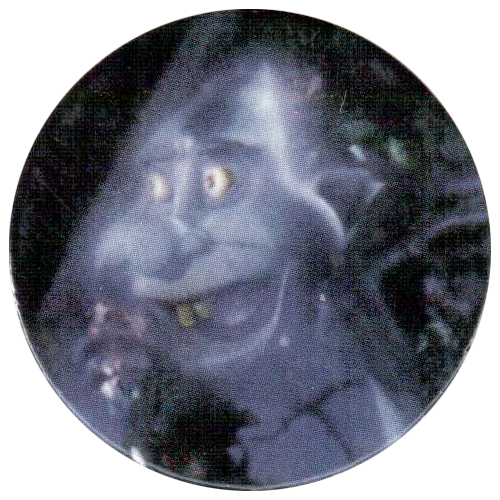 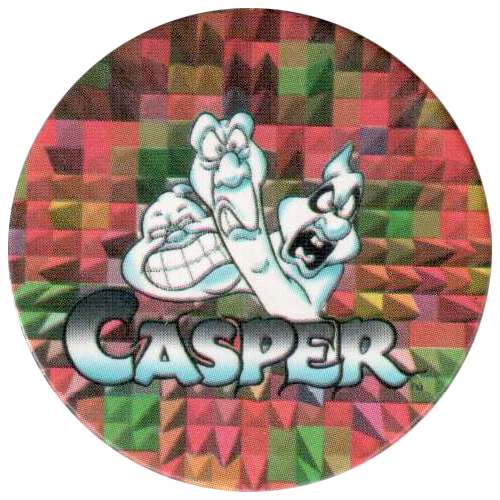 Info:These Casper Tap's feature scenes and cartoons of characters from the 1995 film 'Casper'. 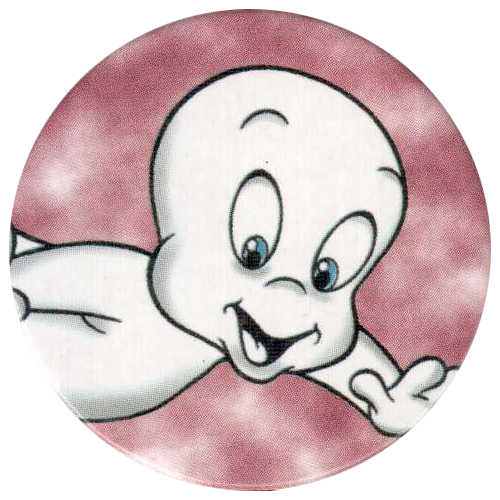 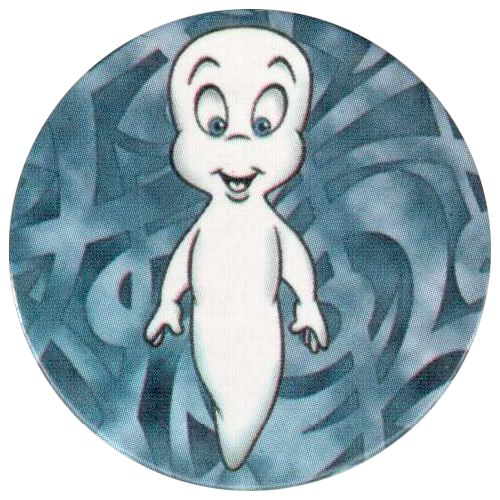 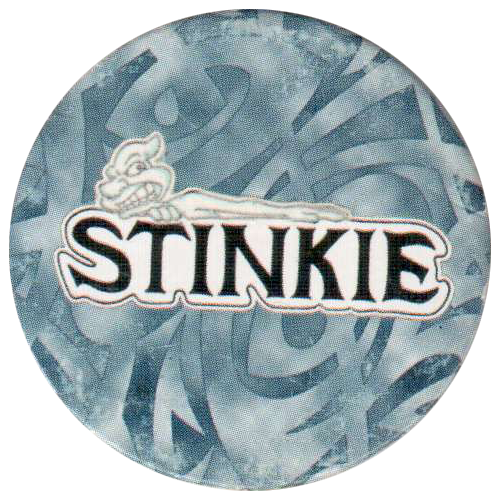 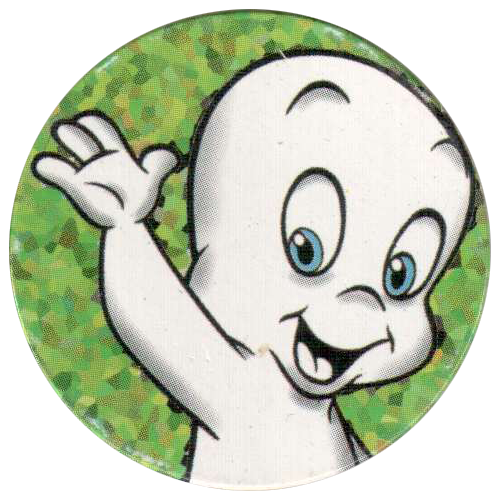 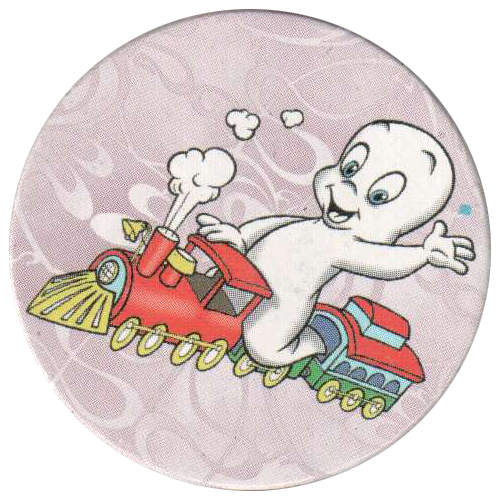 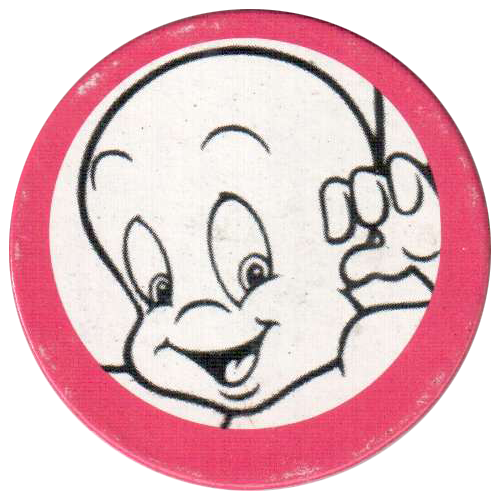 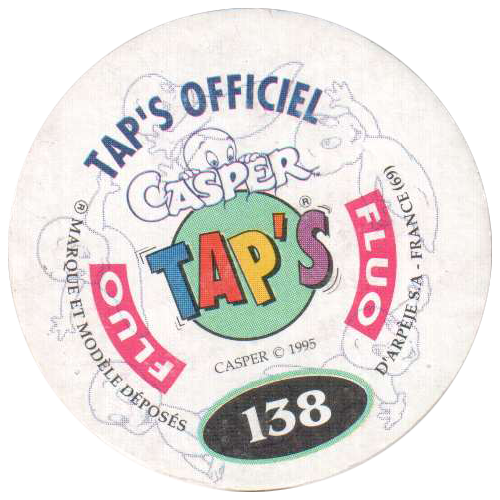 The Casper Tap's mainly feature the ghosts Stinky, Stretch, Fatso, and Casper. 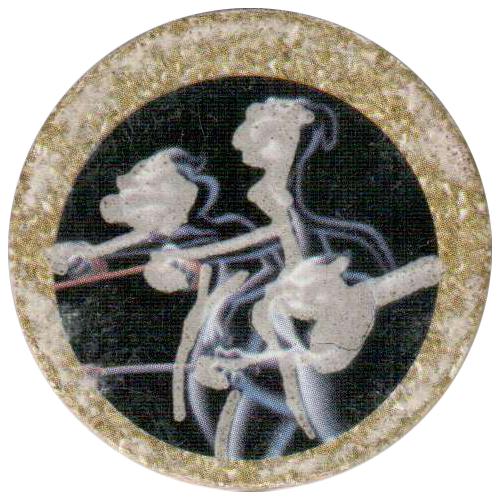 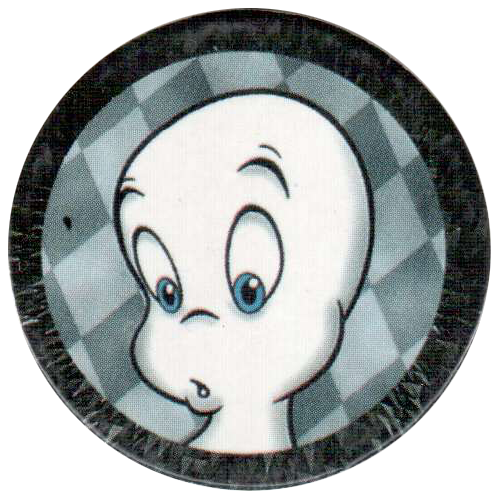 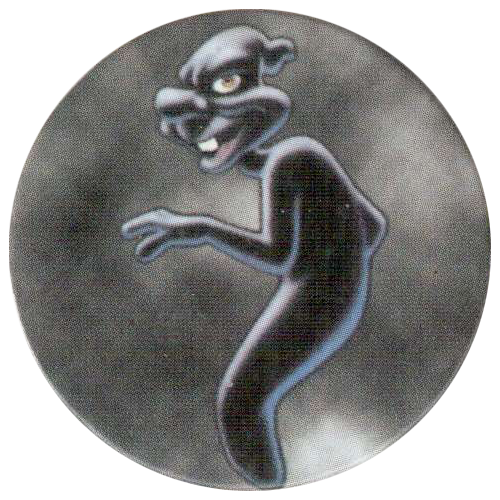 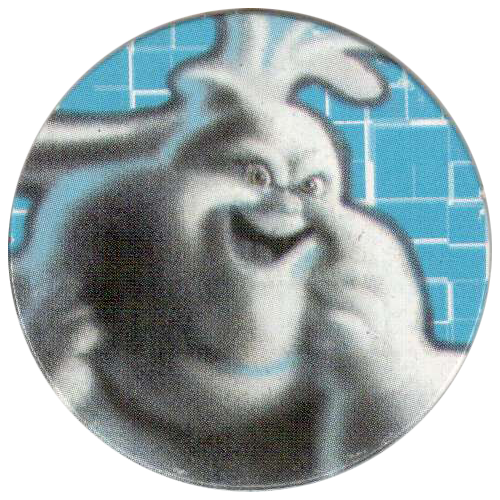 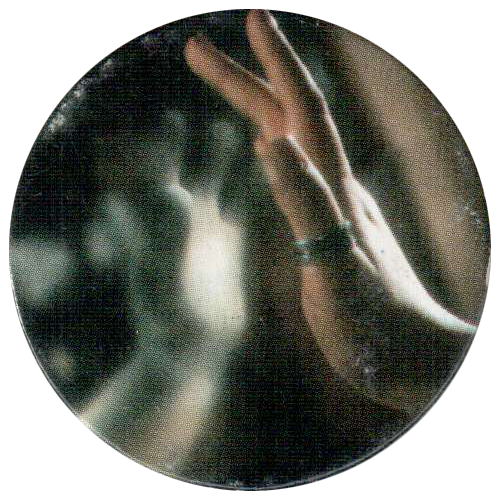 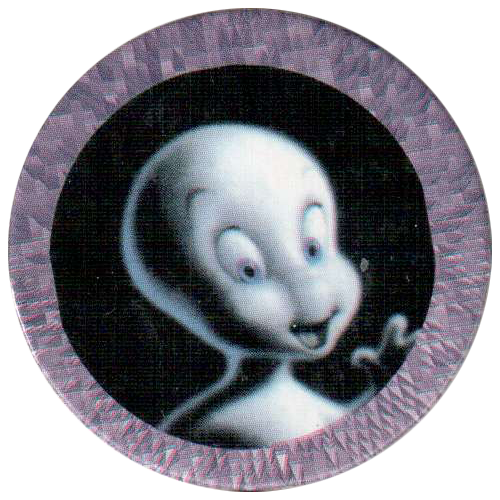 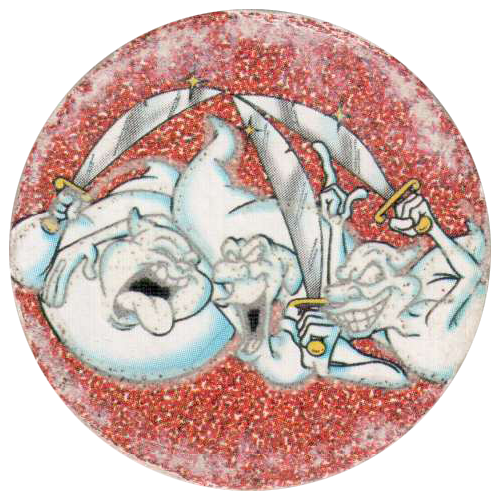 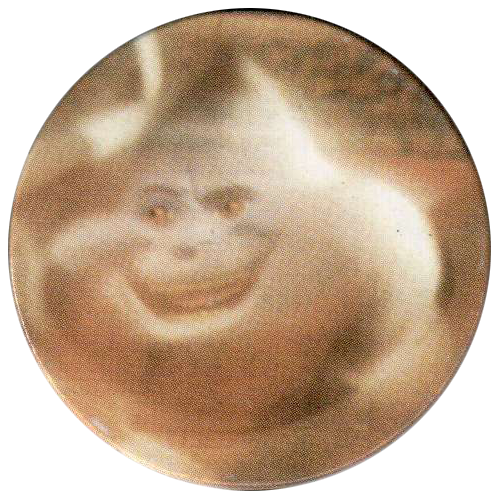 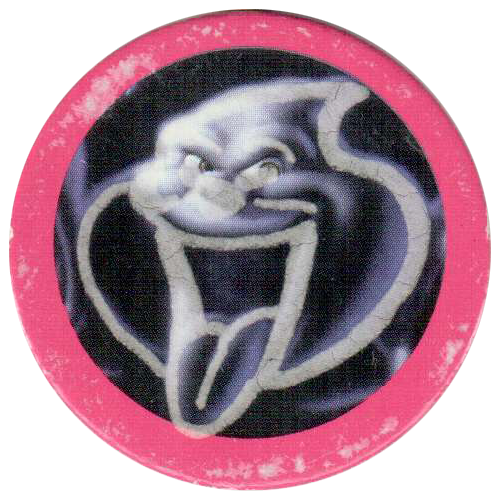 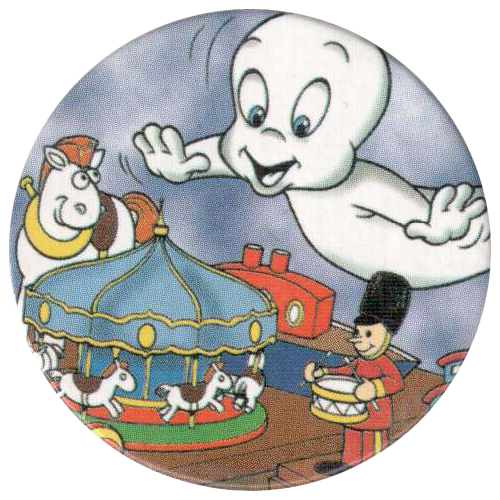 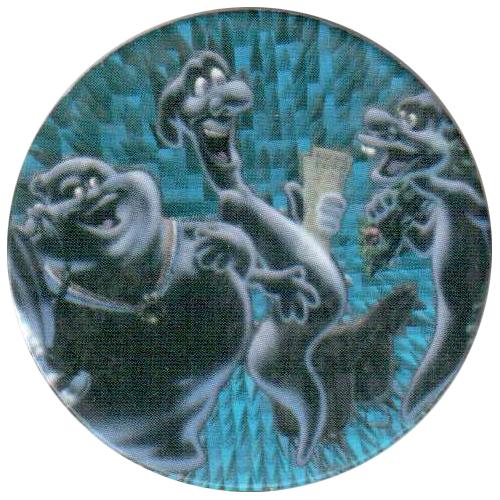 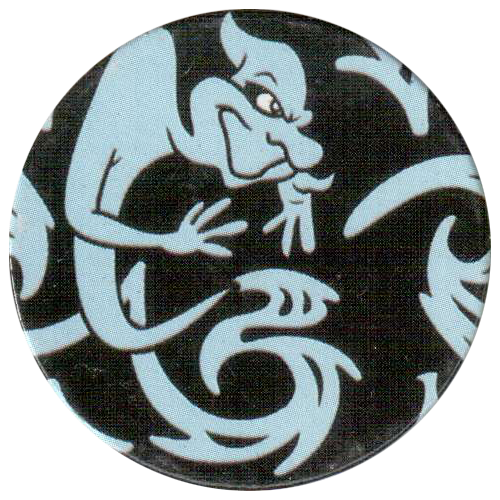 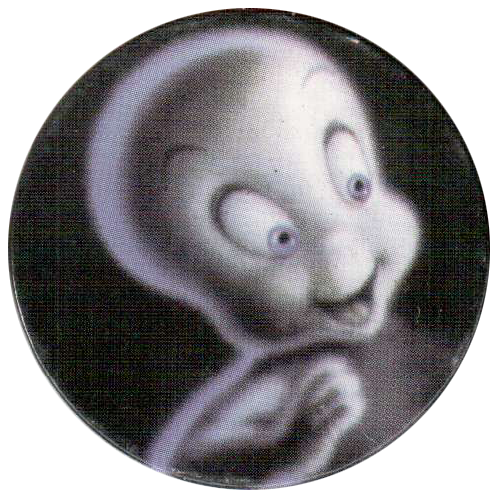 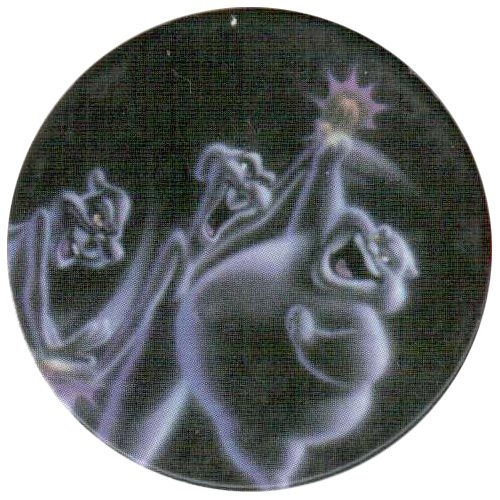 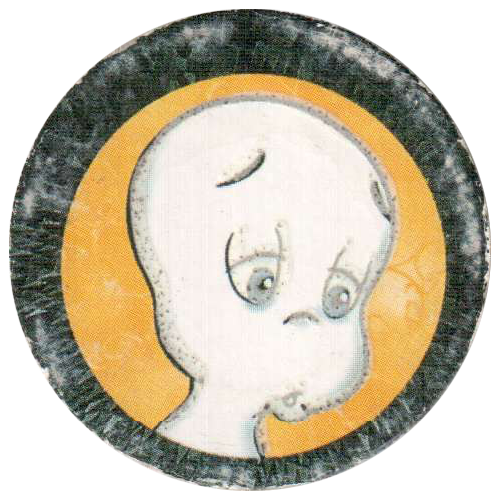 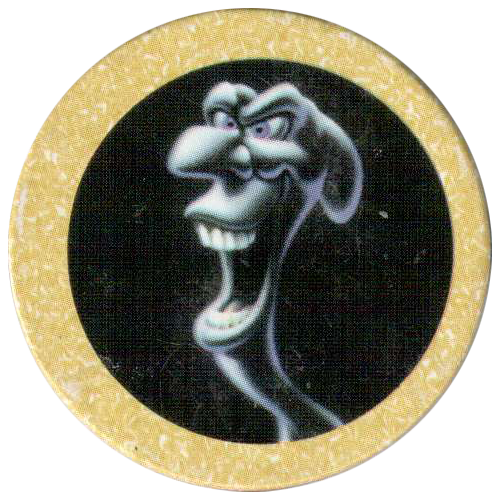 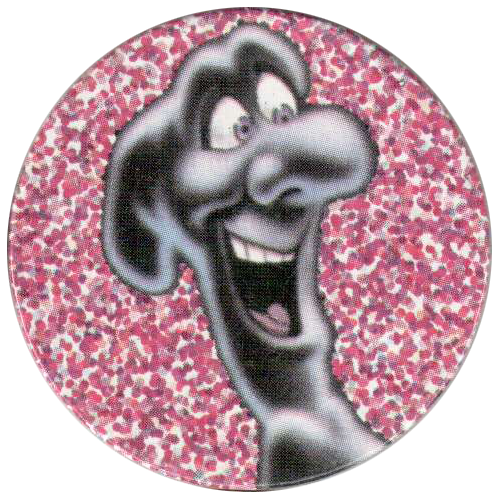 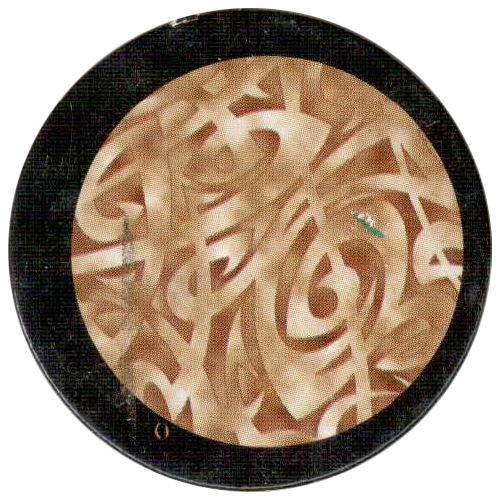 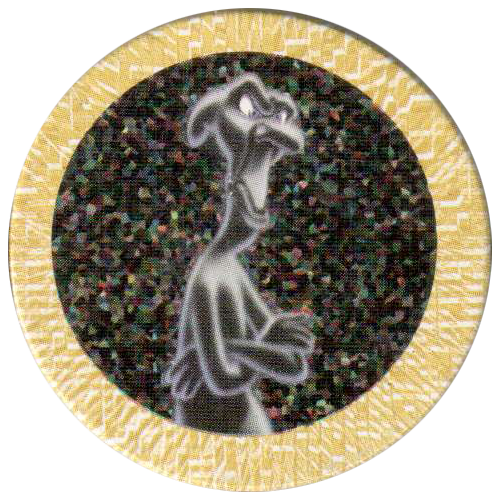 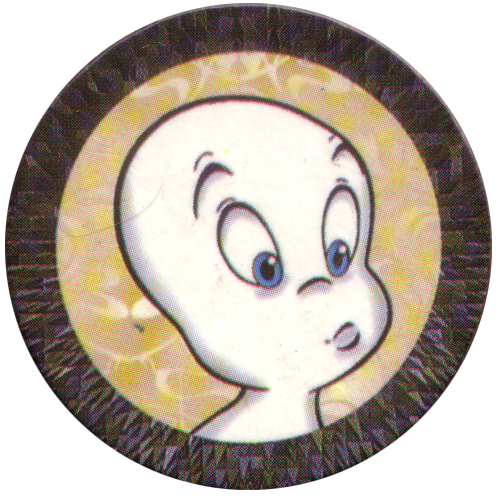 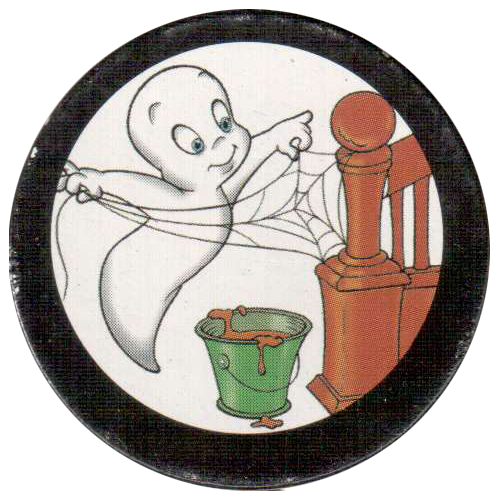 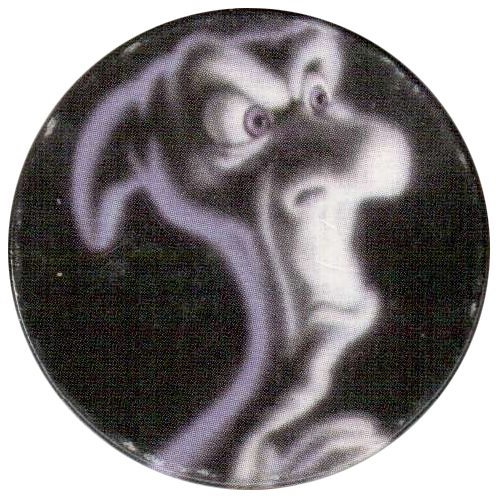 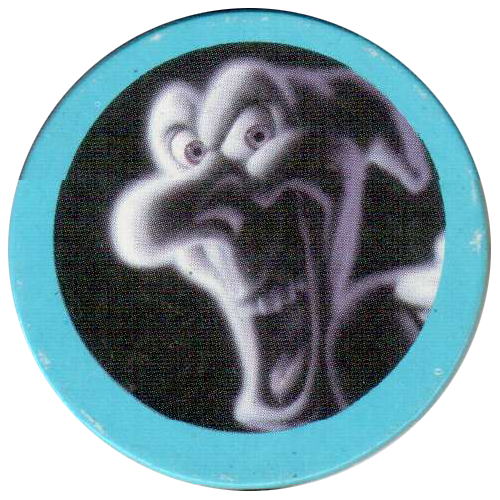 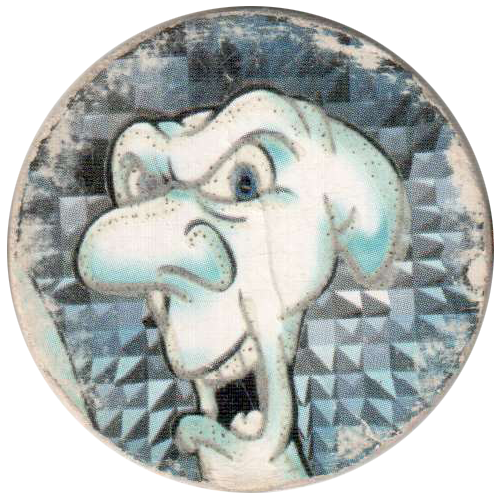 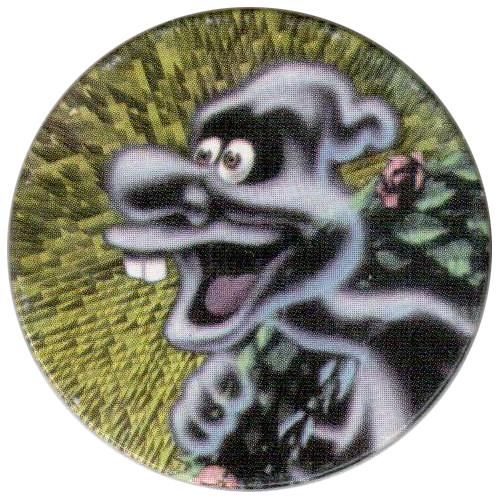 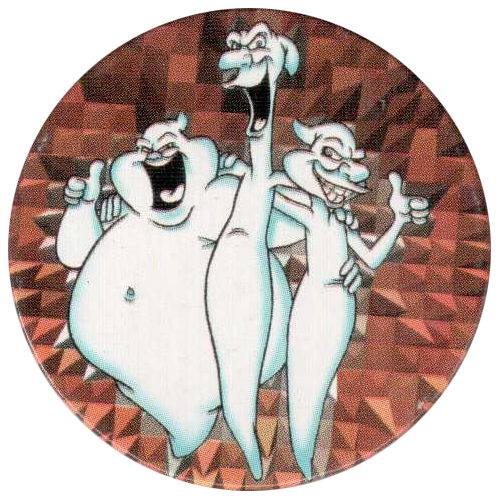 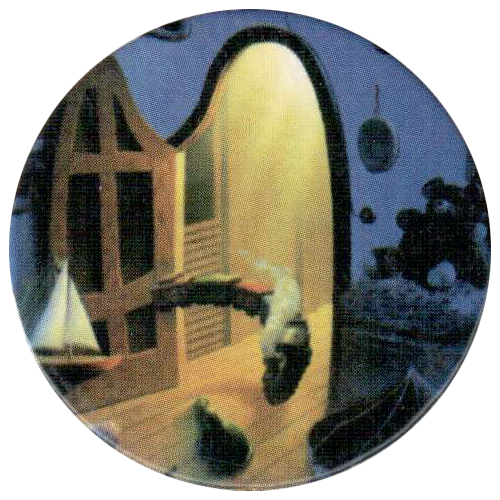 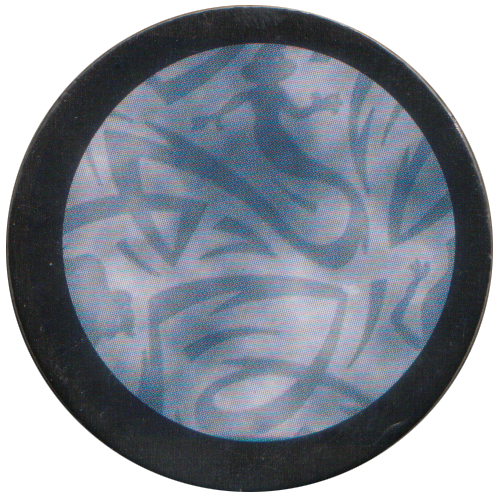 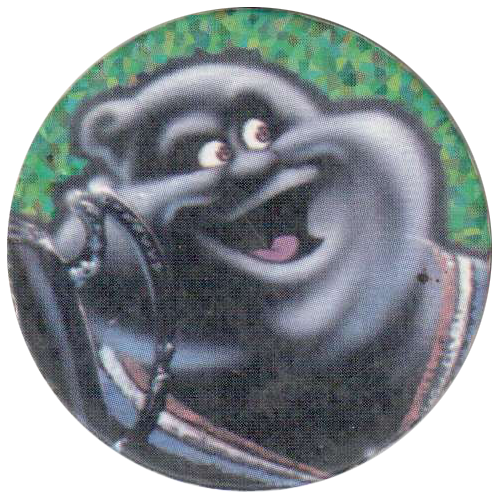 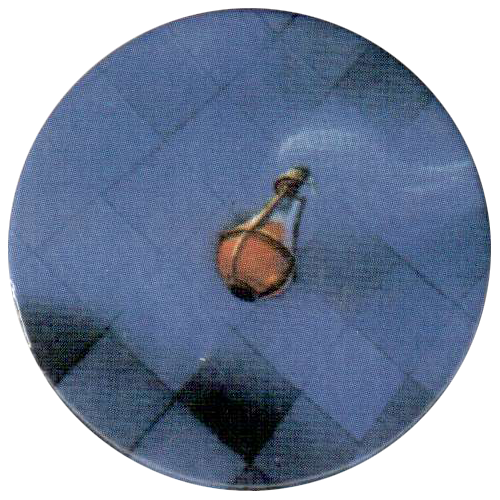 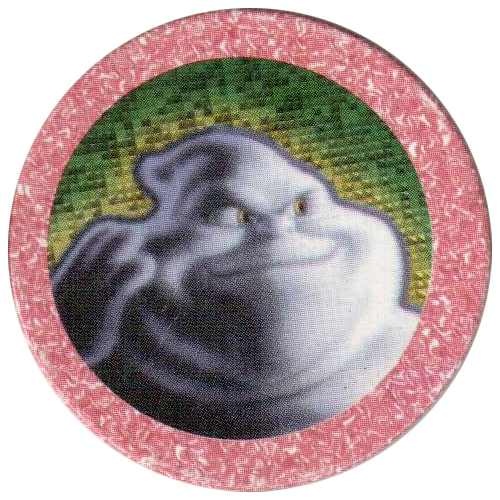 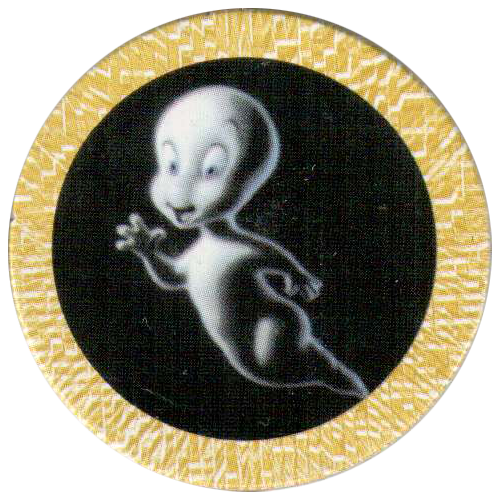 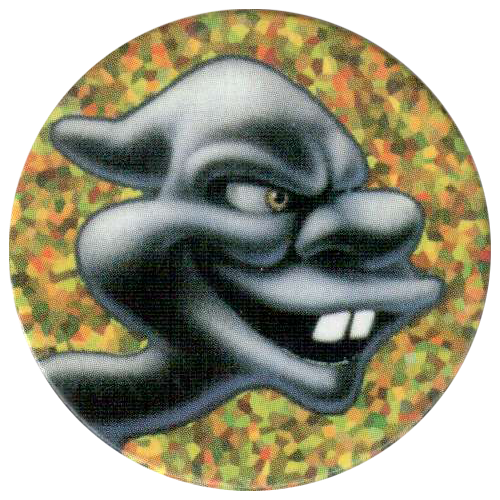 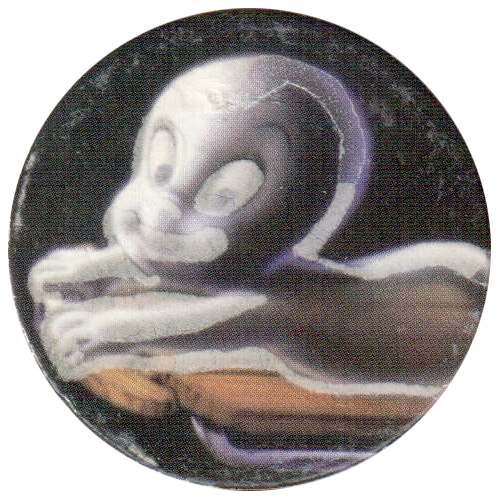 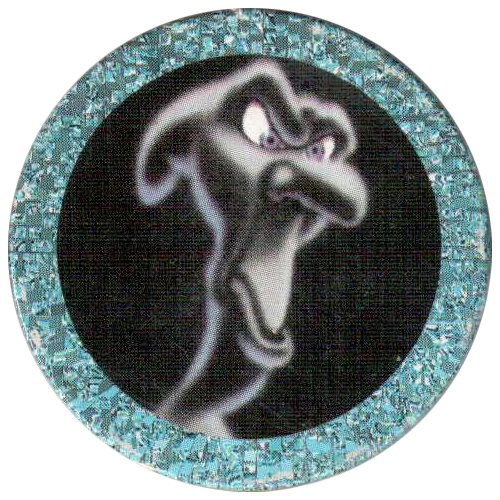 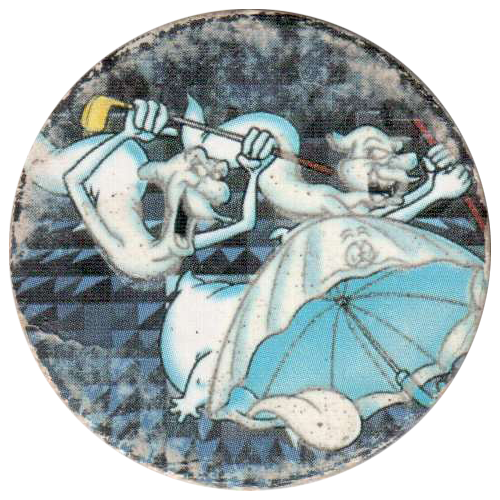 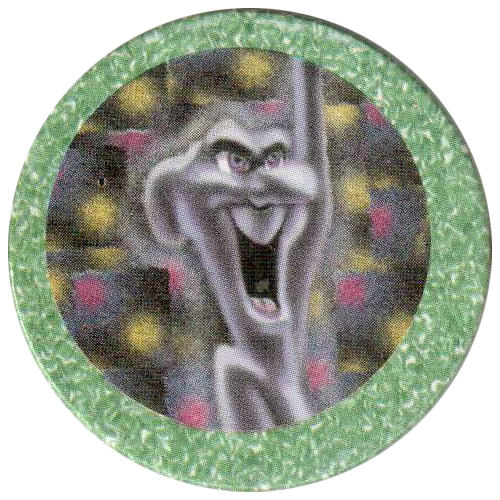 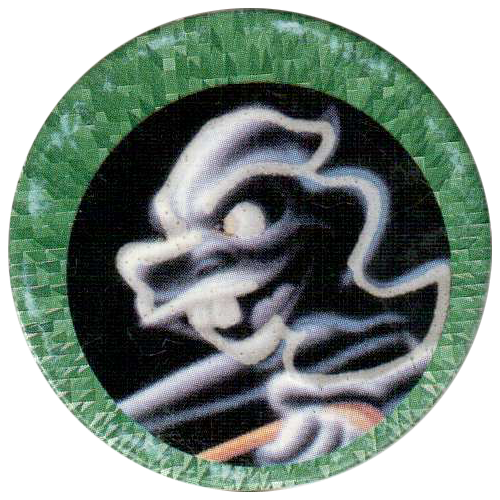 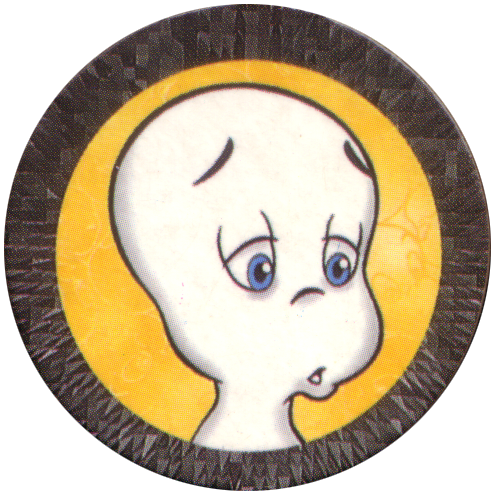 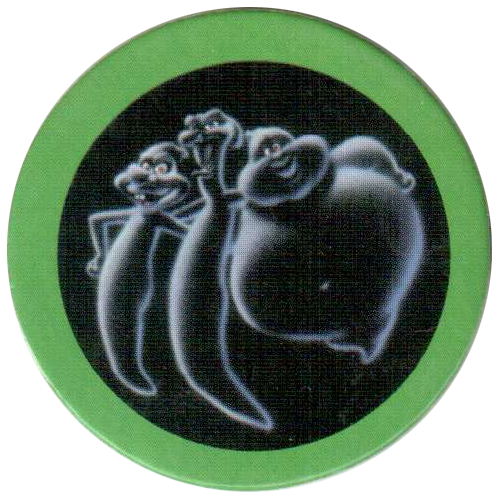 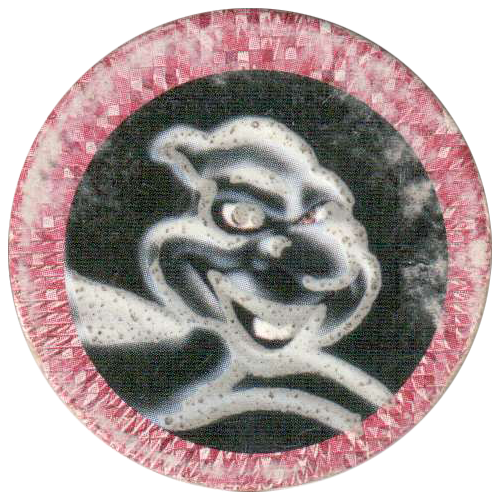 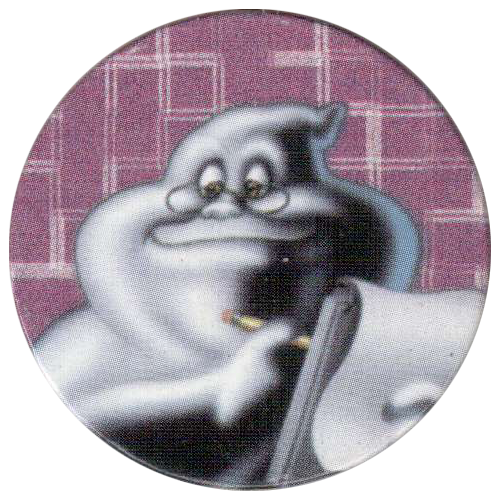 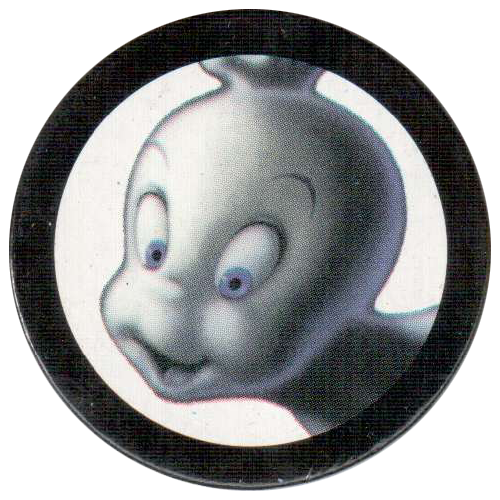 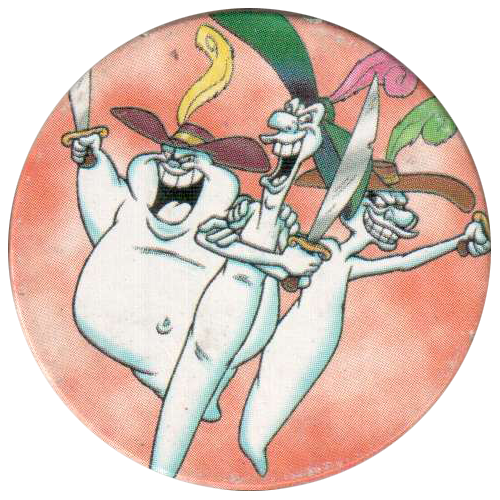 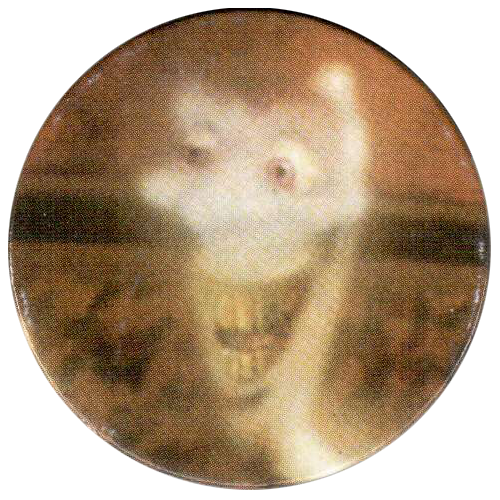 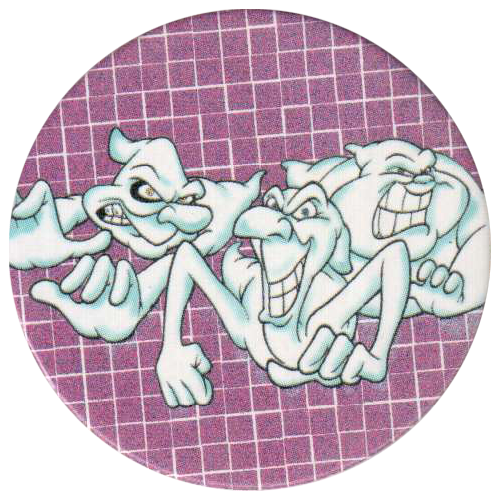 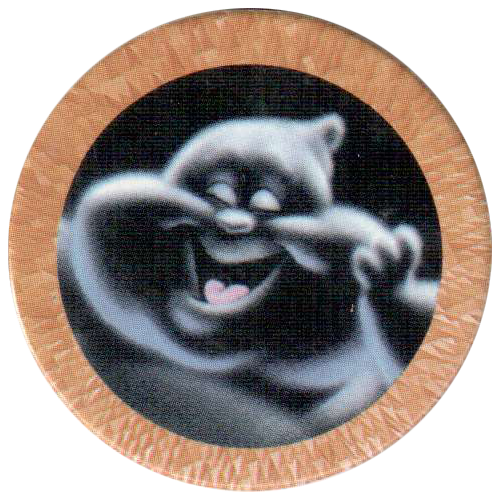 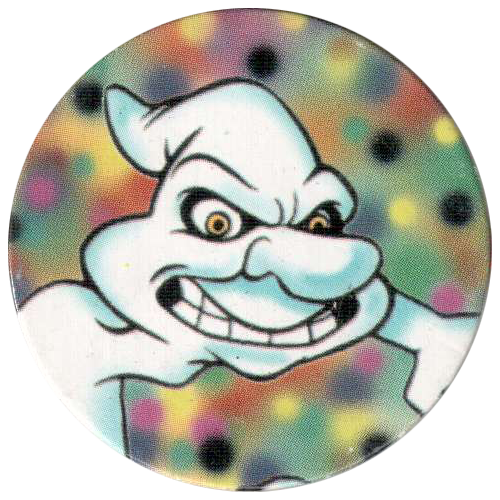 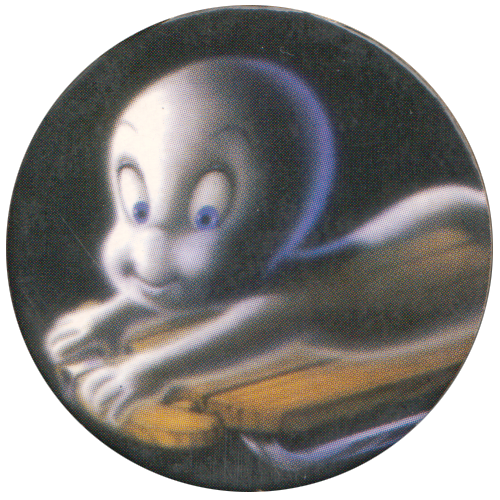 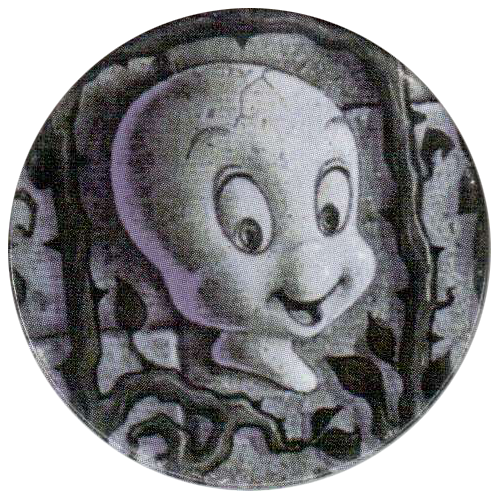 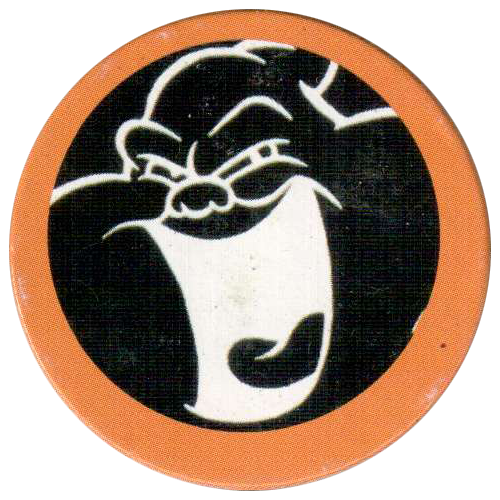 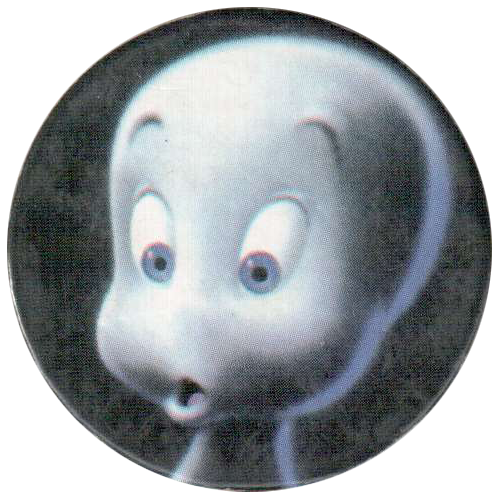 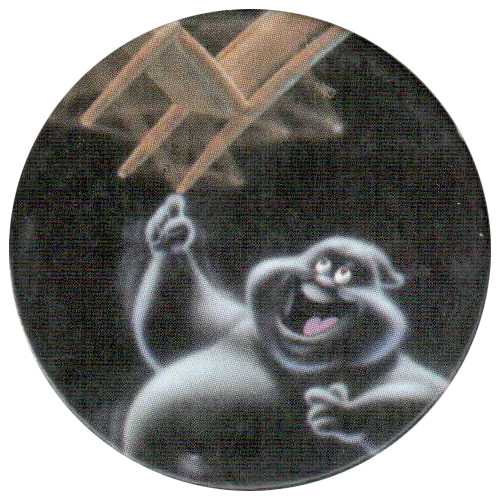 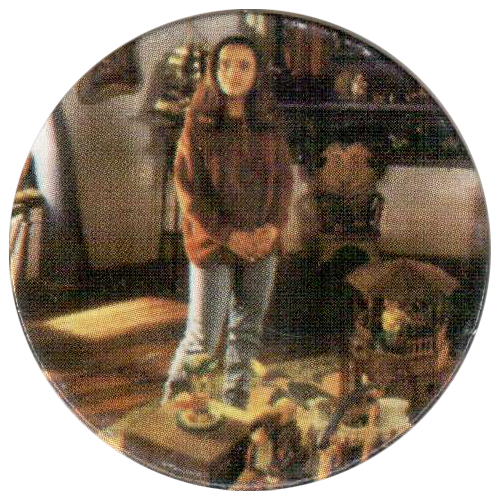 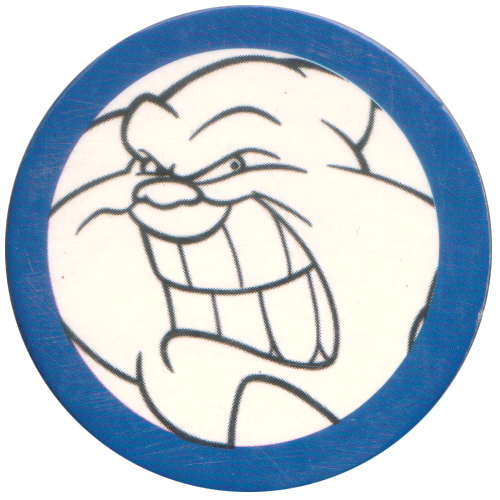 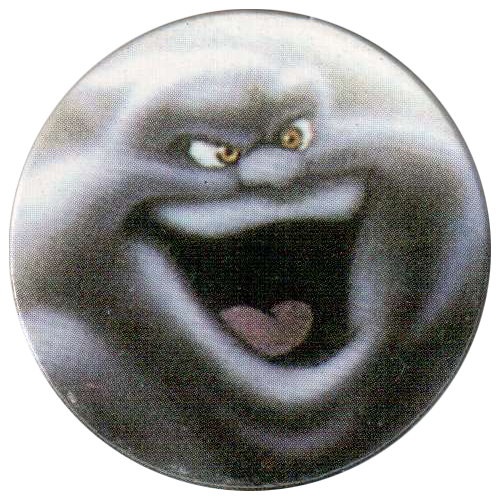 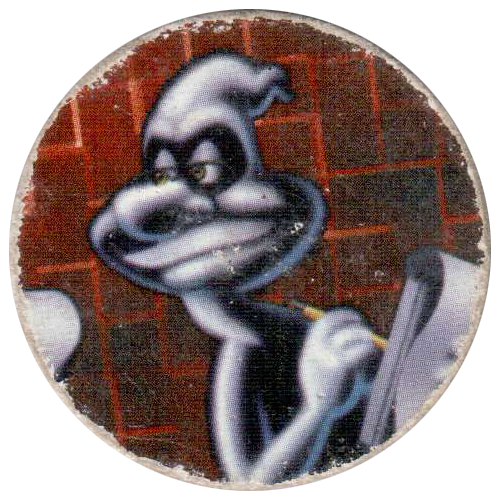 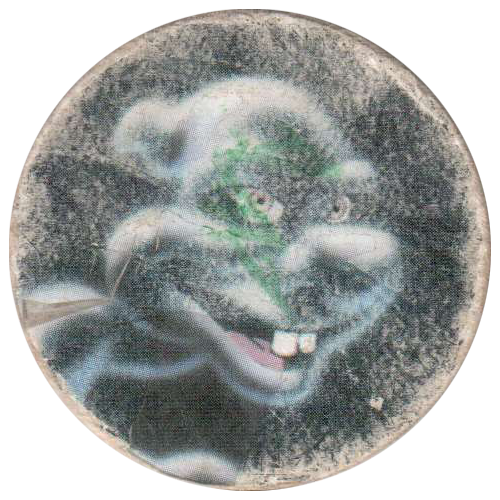 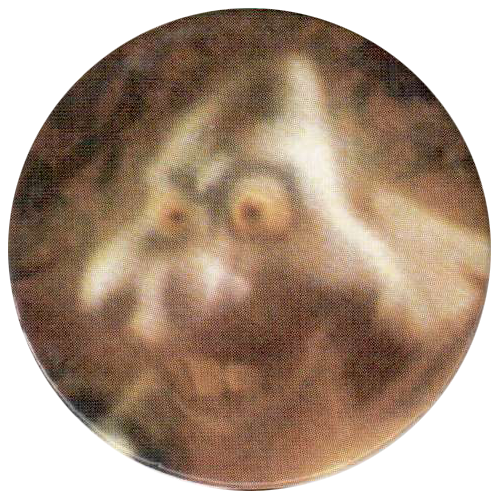 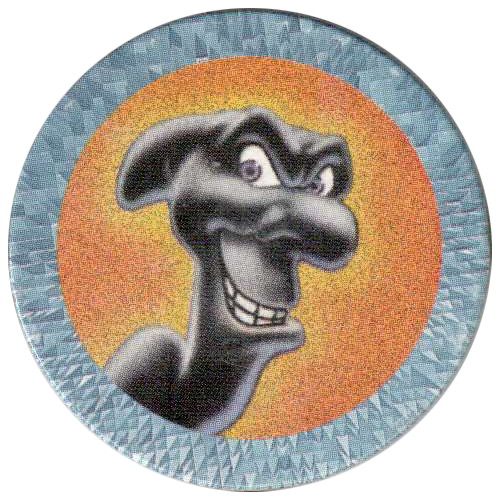 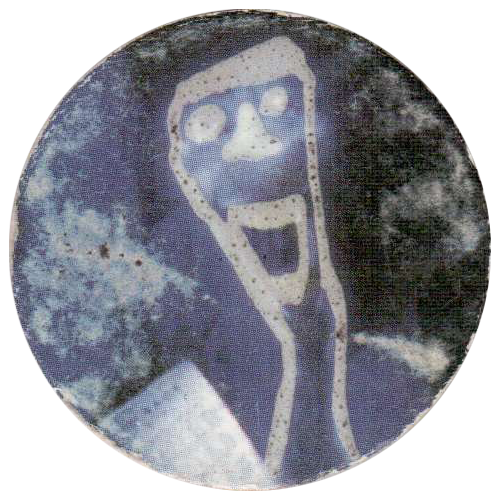 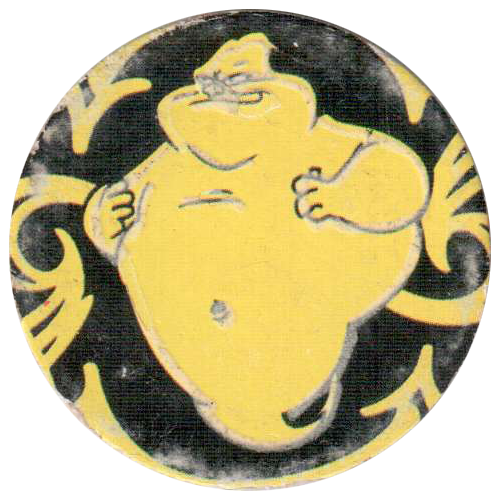 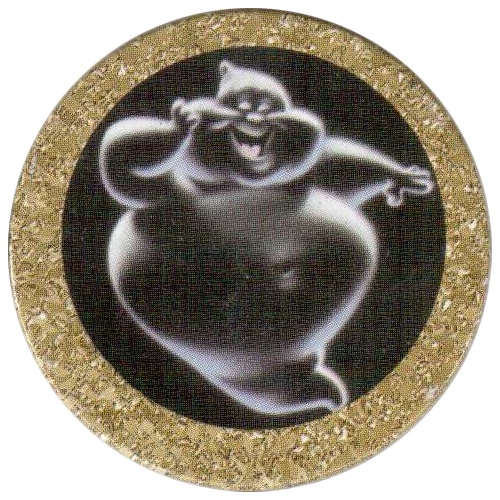 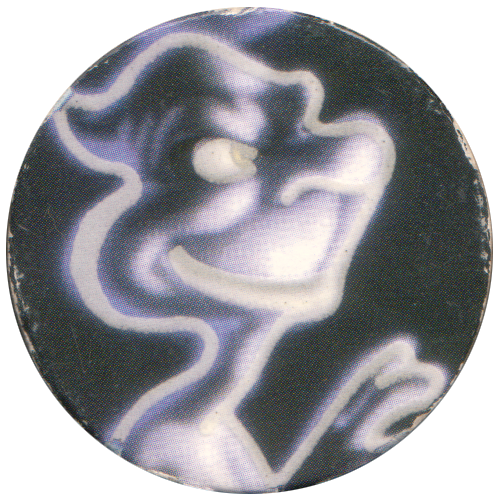 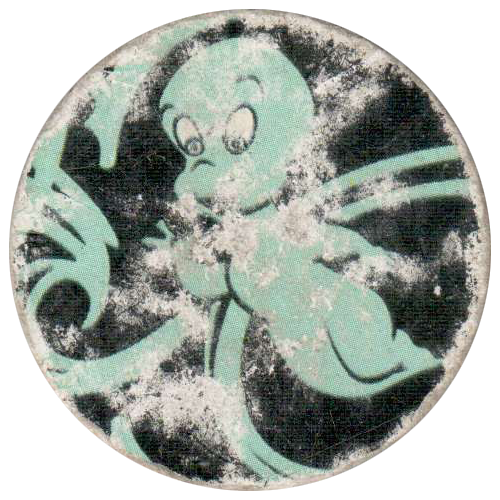 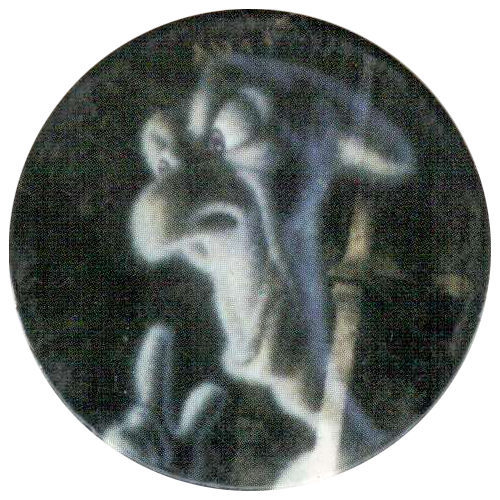 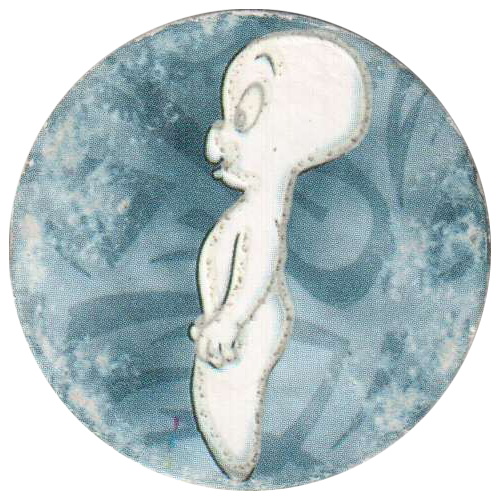 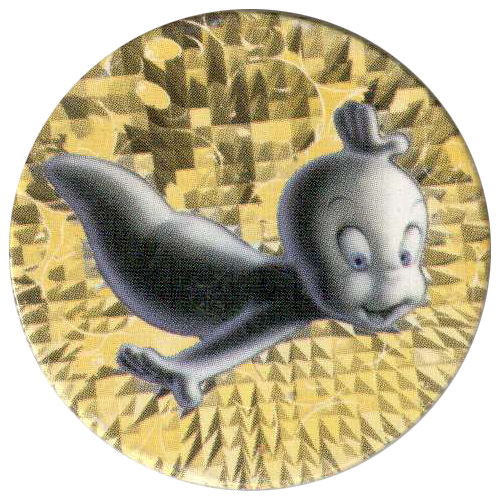 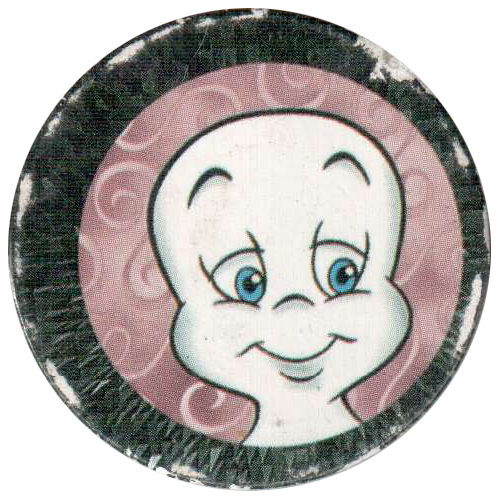 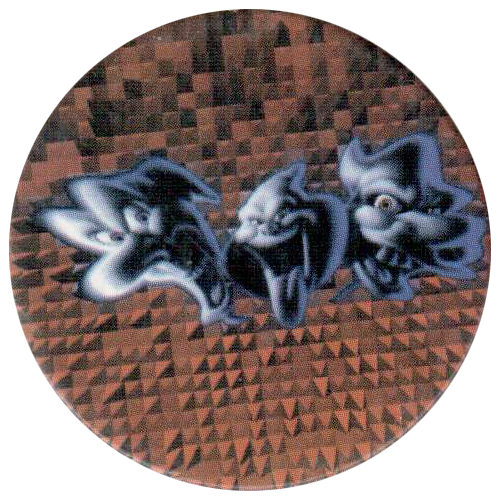 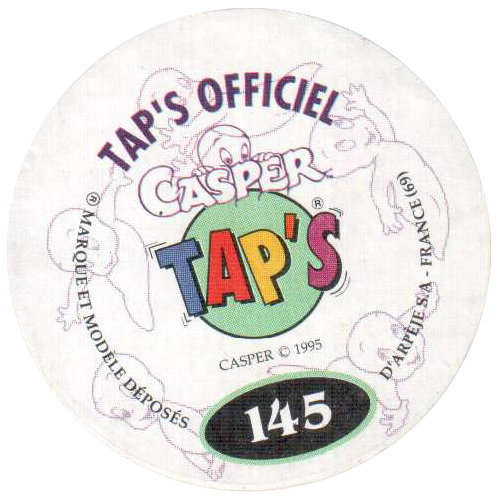 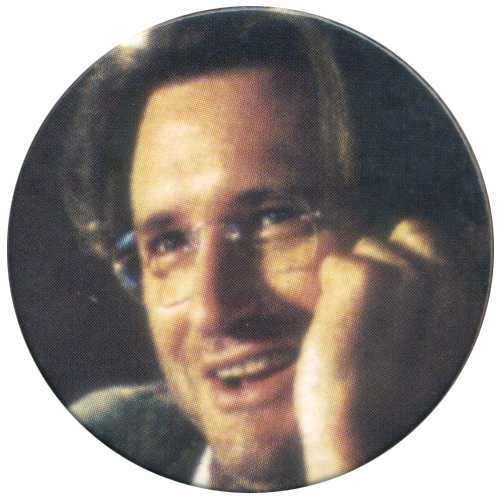 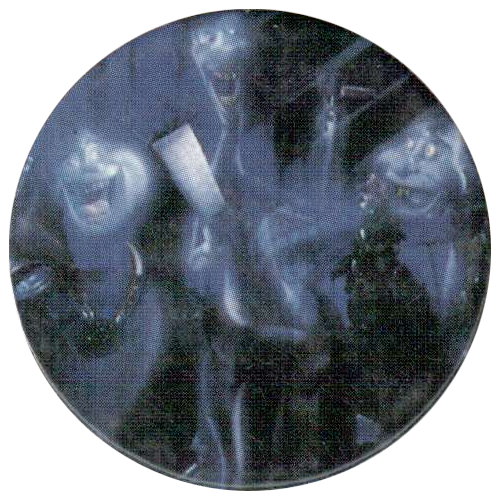 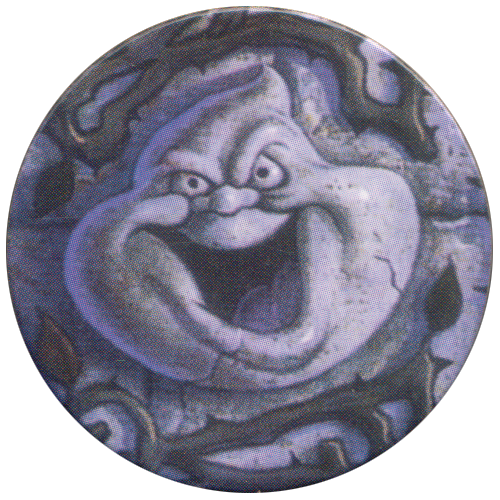 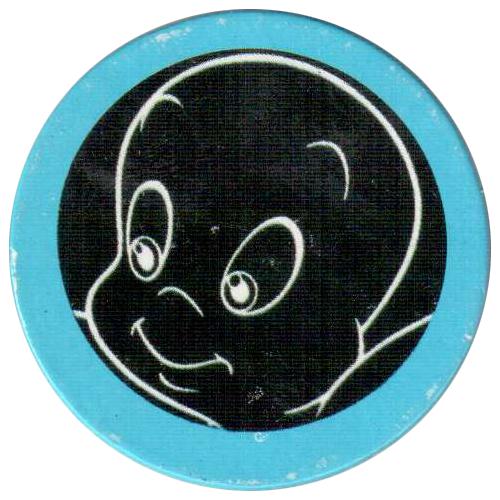 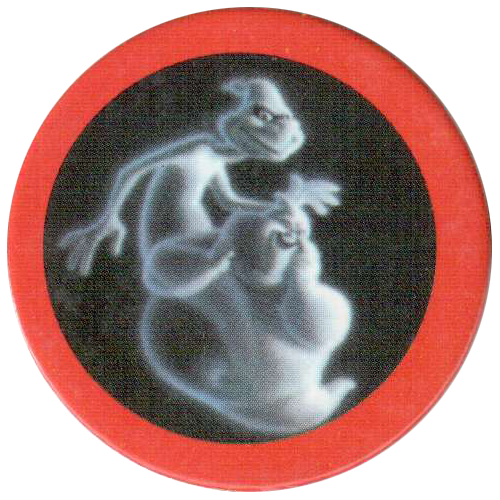 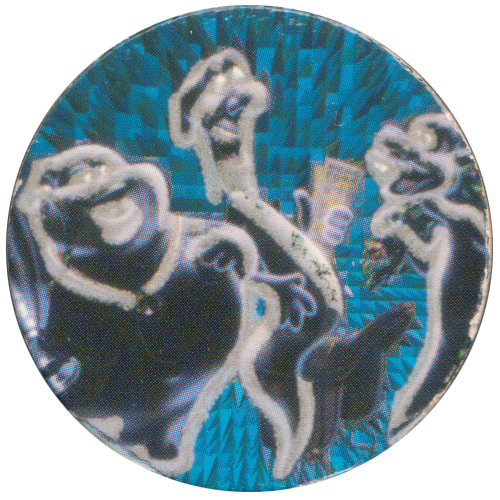 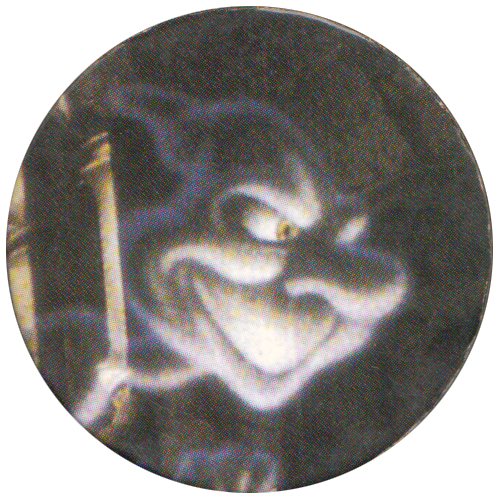 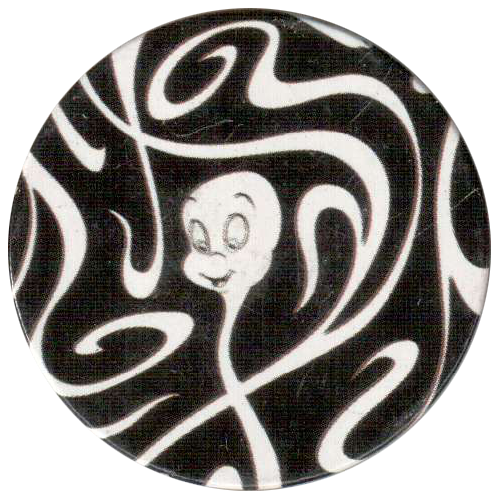 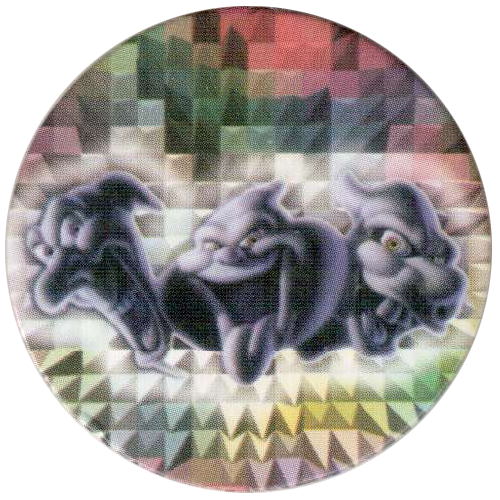 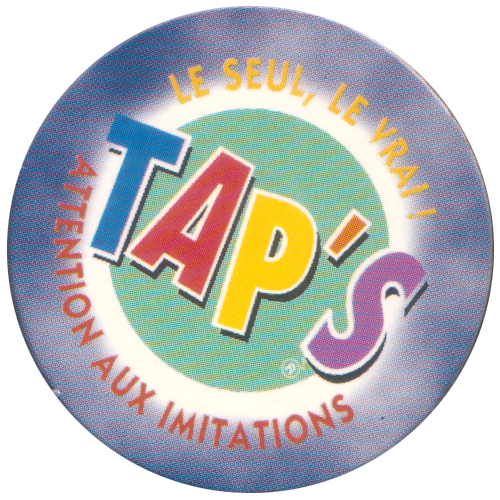 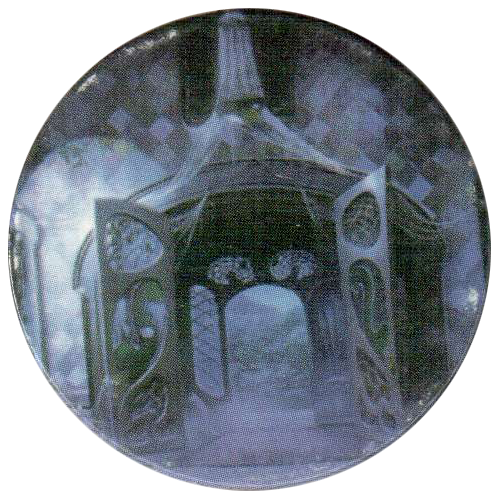 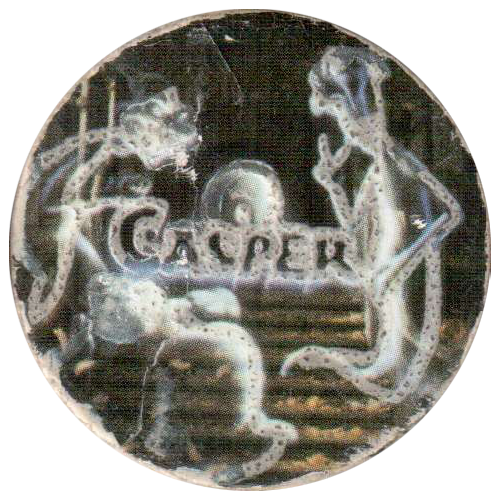 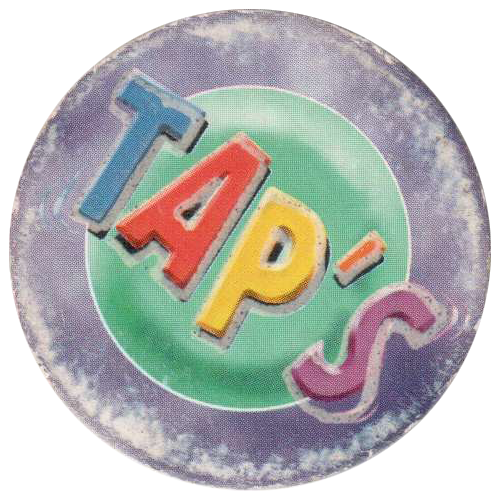 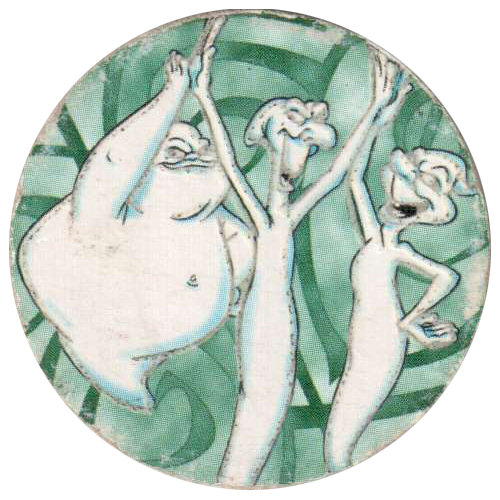 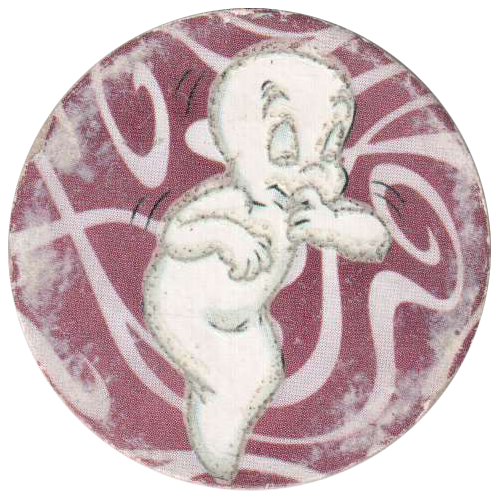 Casper Tap's come from France, and there are 152 pogs in the full set. 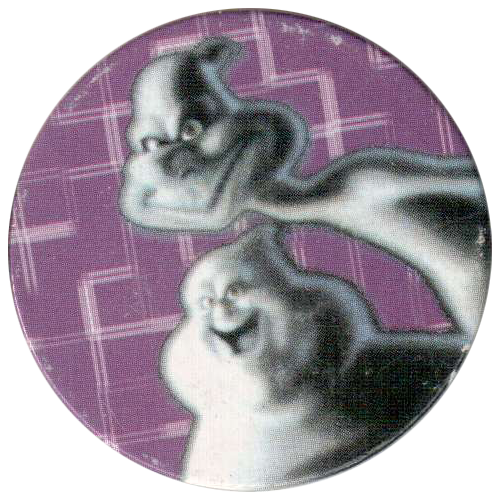 There is no number 68 in the series, but instead there are two versions of number 78 with different designs. 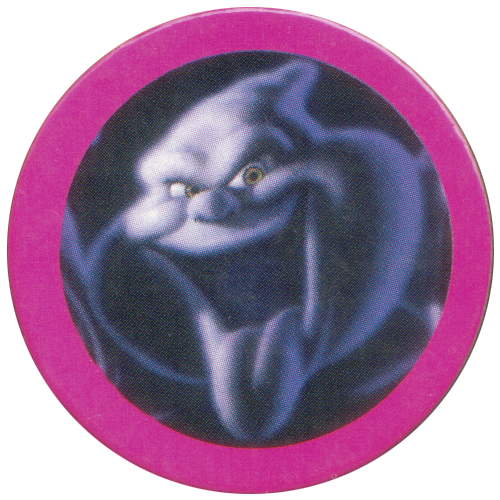 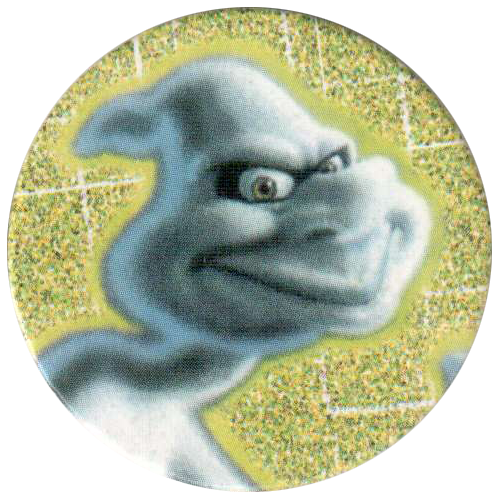 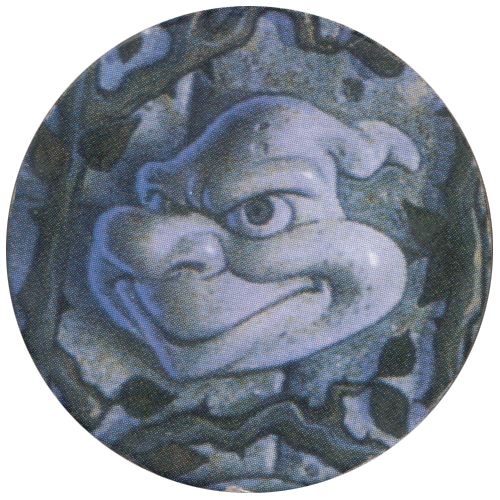 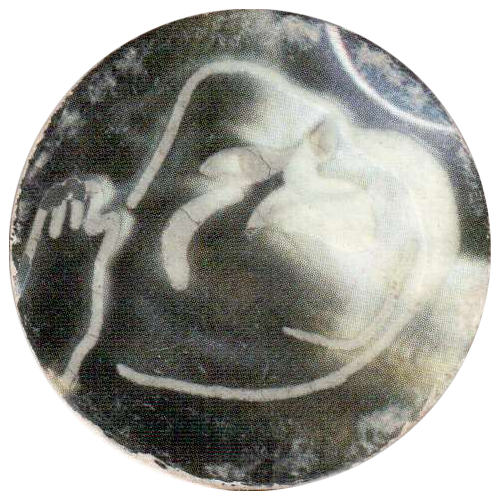 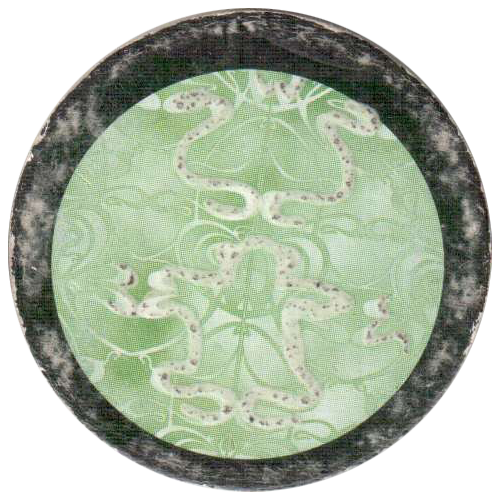 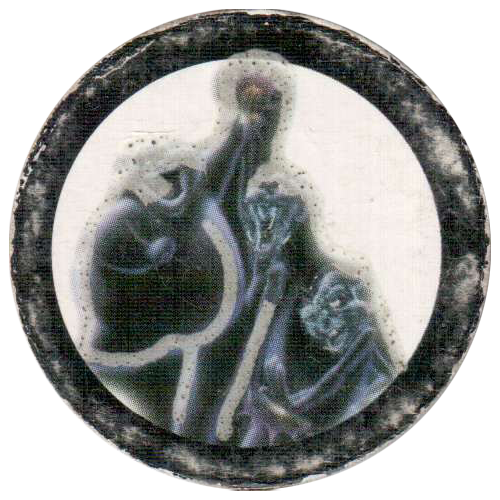 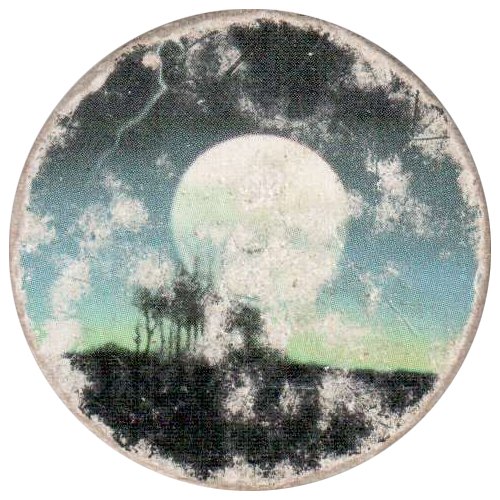 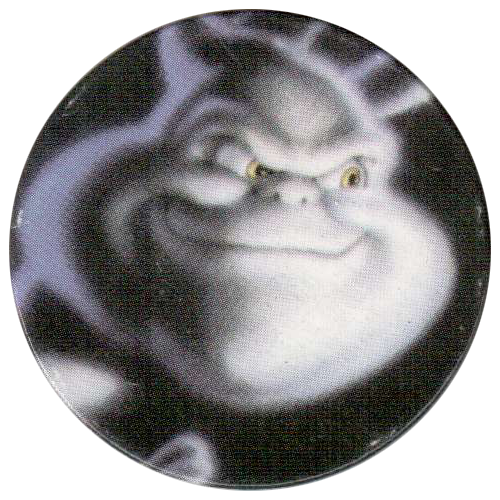 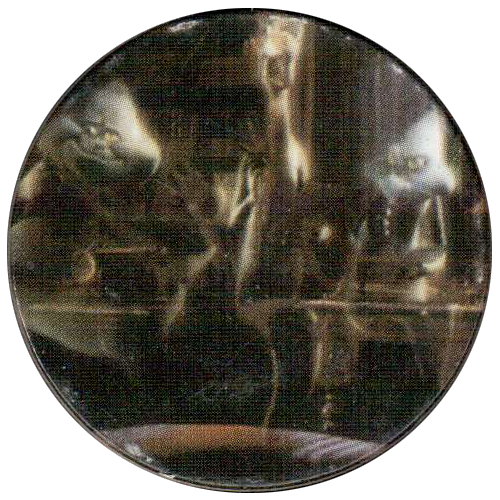 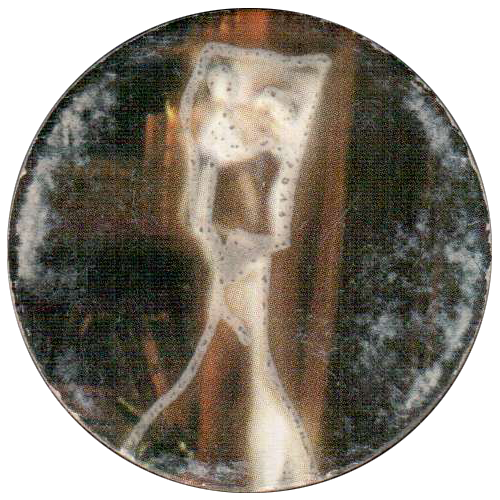 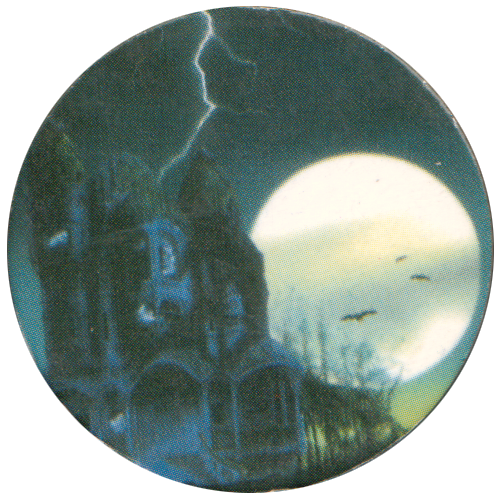 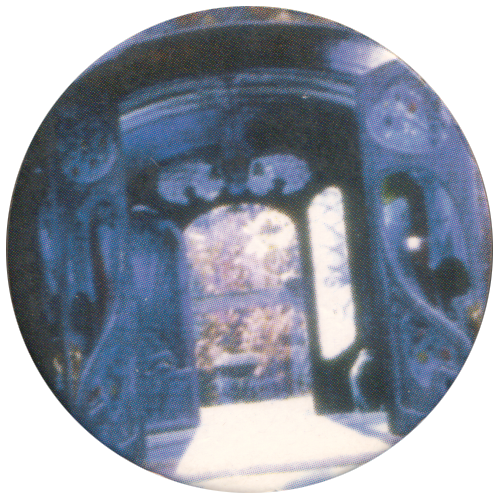 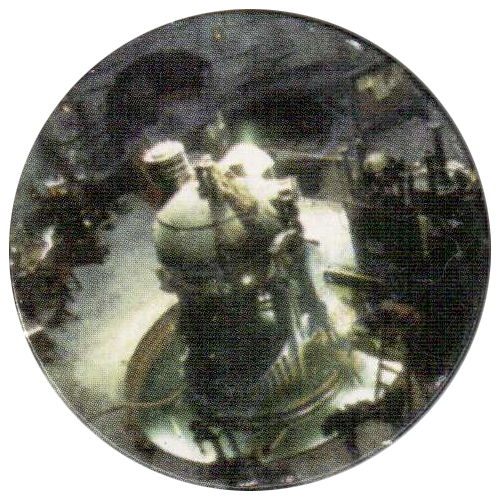 Some of the pogs / caps have glow in the dark paint overlaid on top of the image, these caps are known as 'Fluo'. 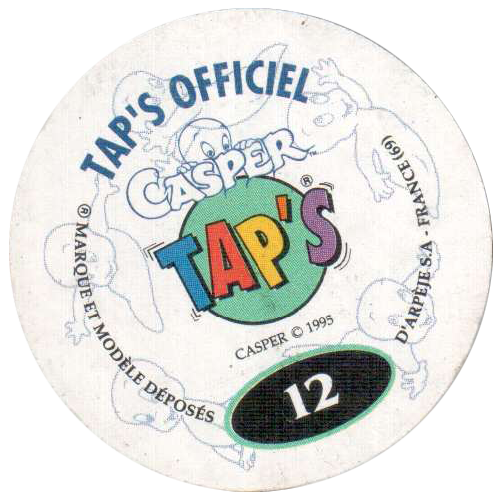 It seems these caps were available in both Fluo and normal versions. 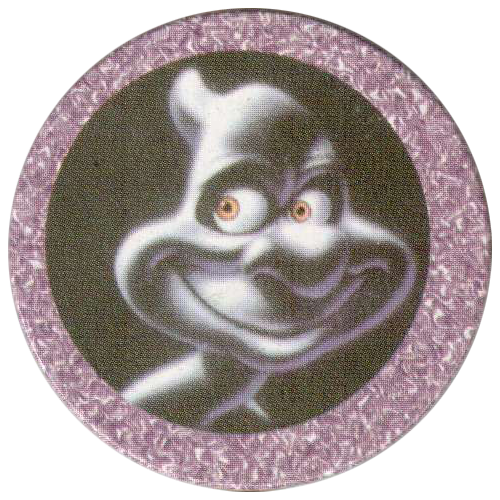 Thanks to Чугайнов Павел for these scans and information. 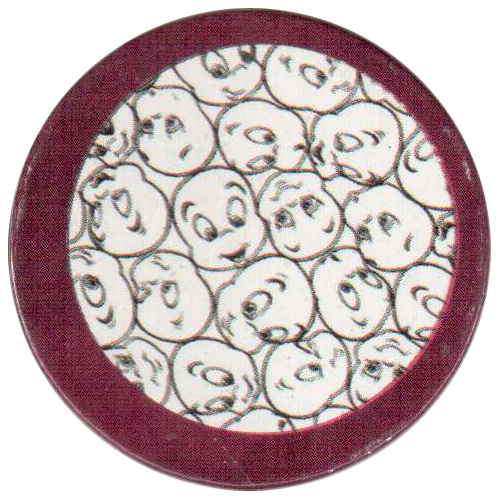 This is the full set of 152. 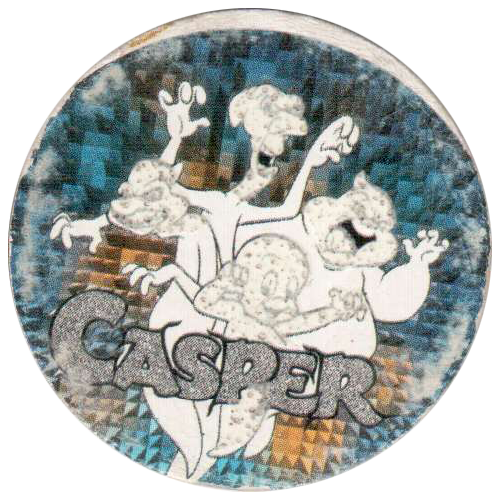 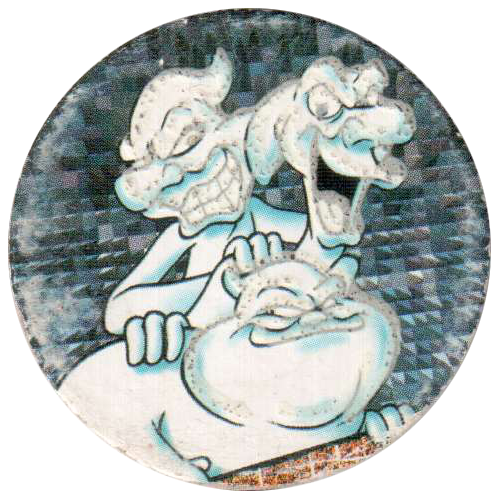 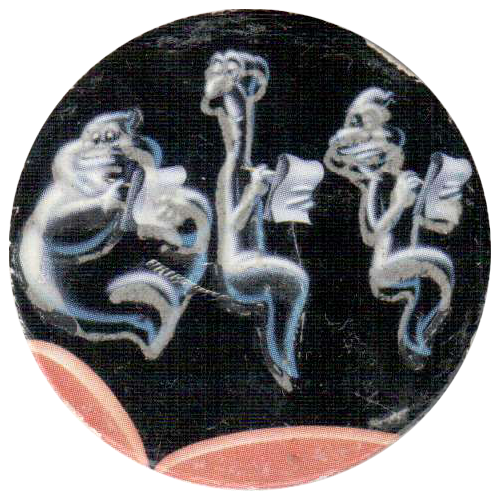 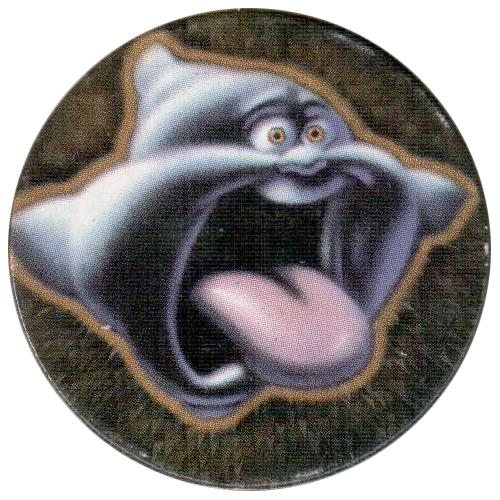 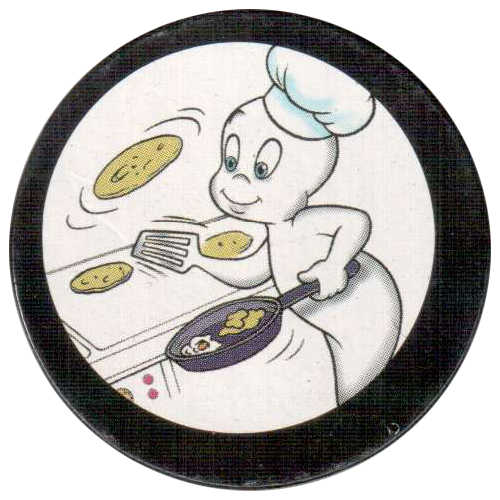 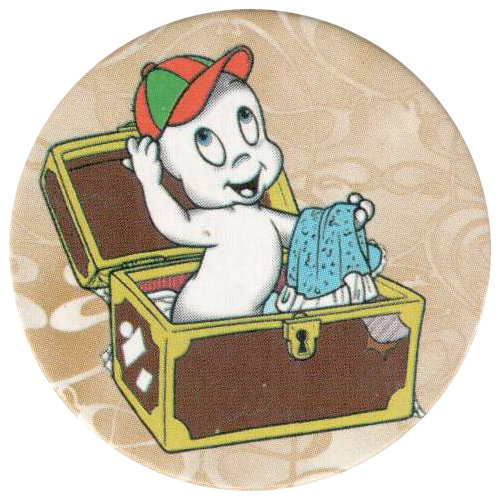 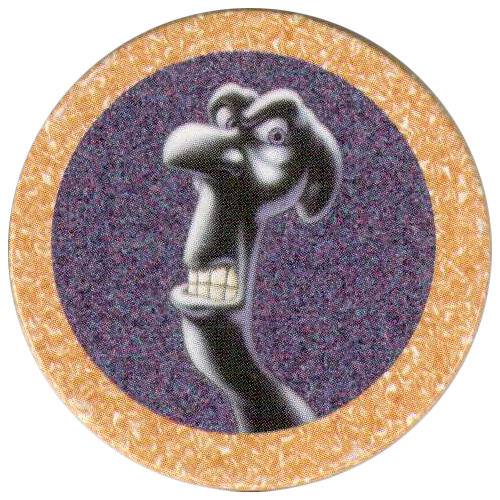 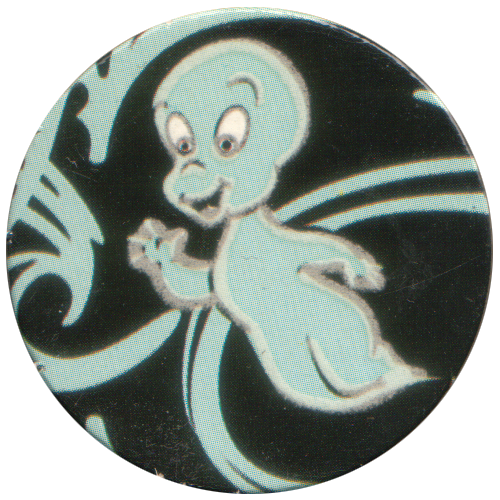 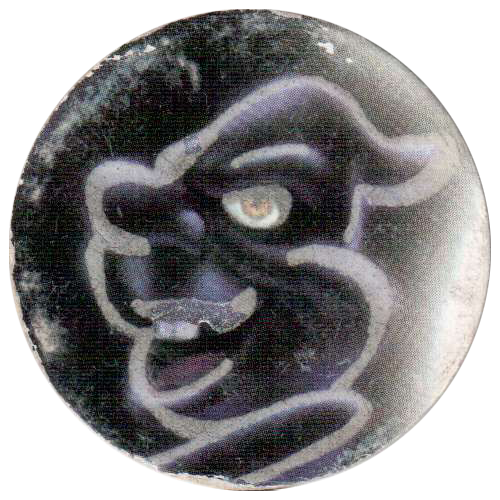 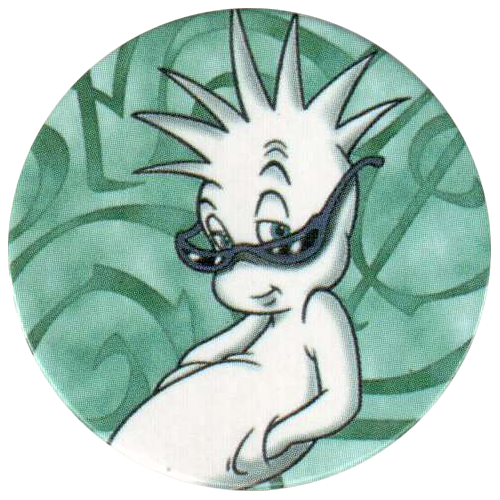 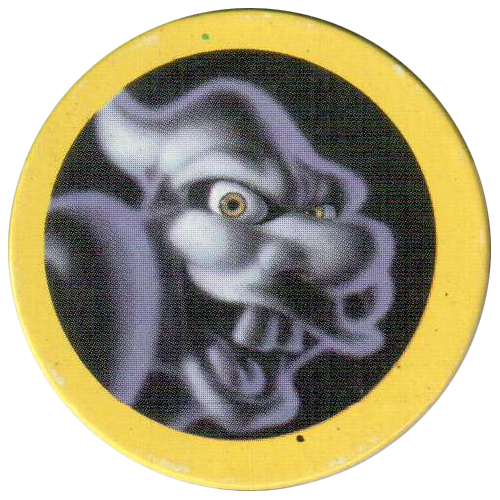 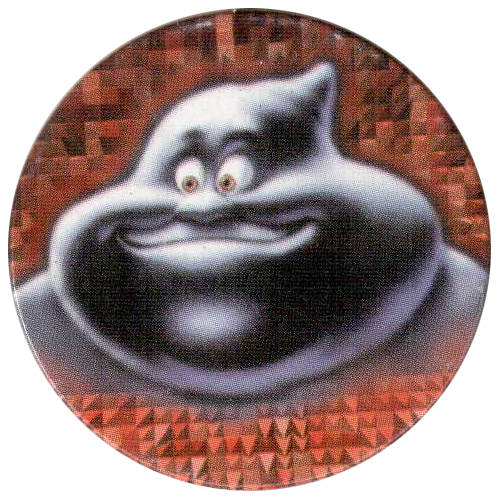 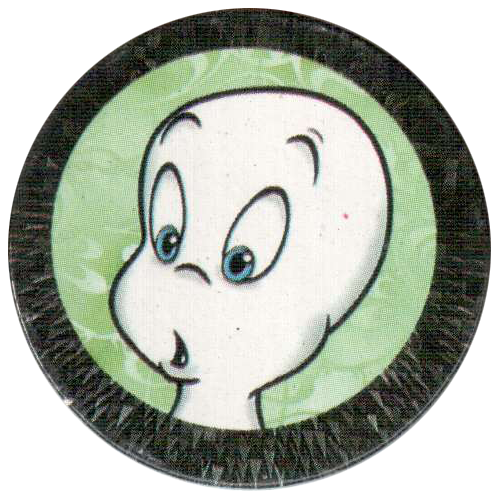 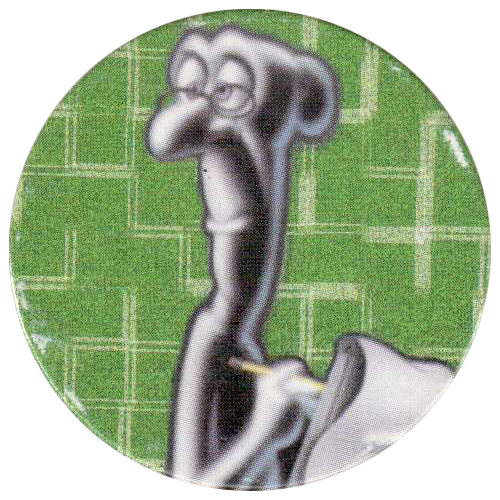 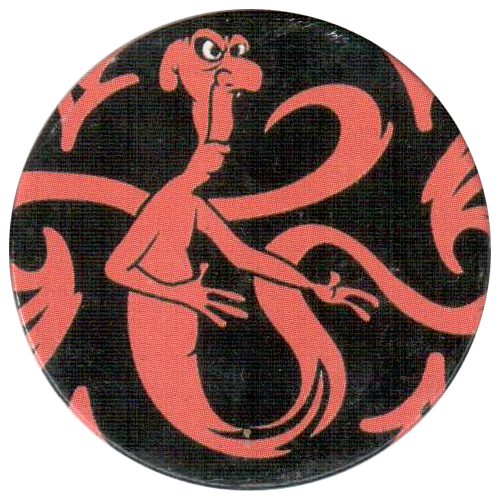 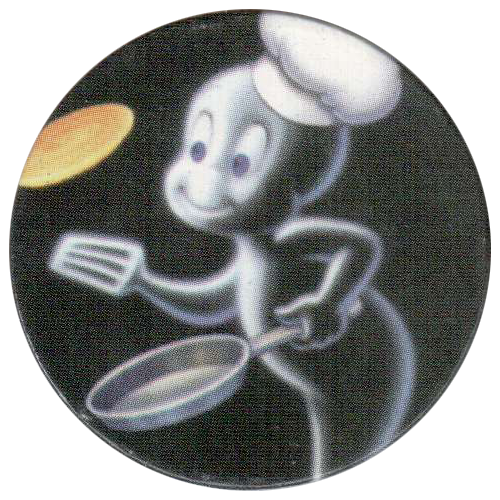 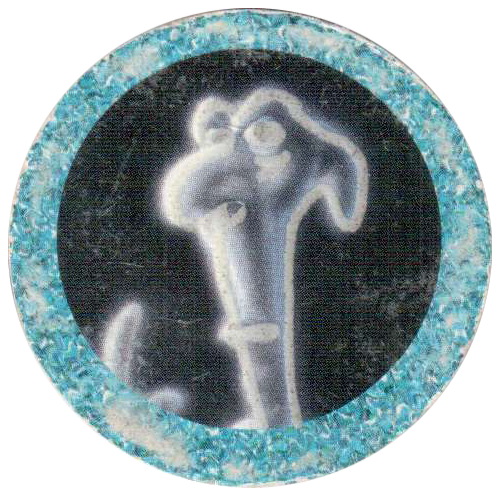 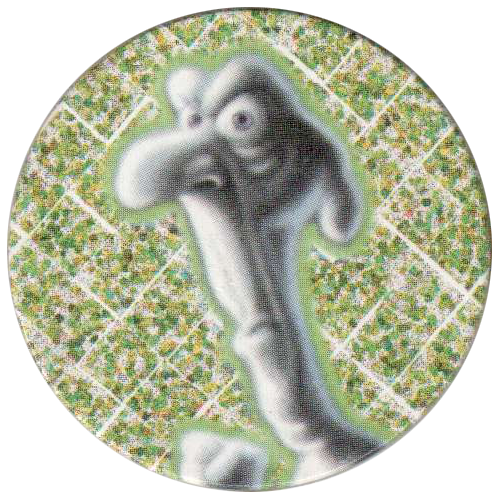 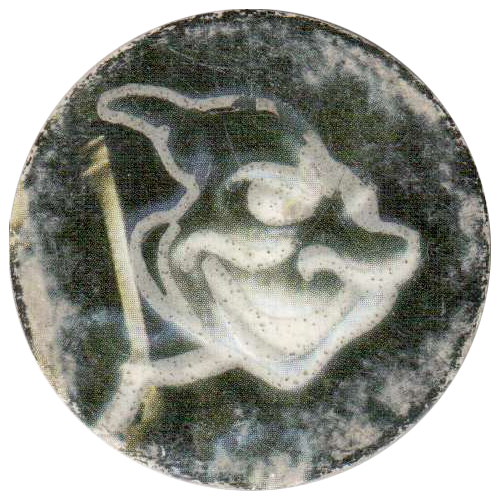 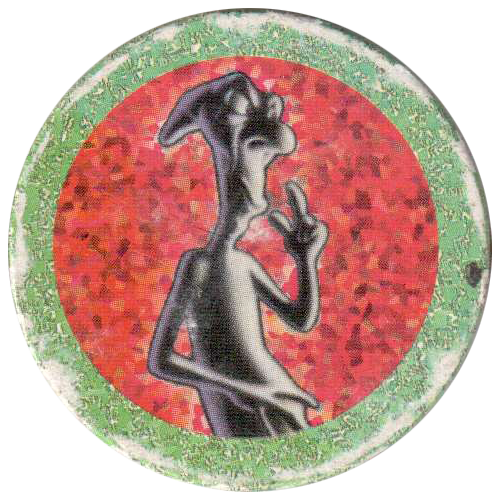 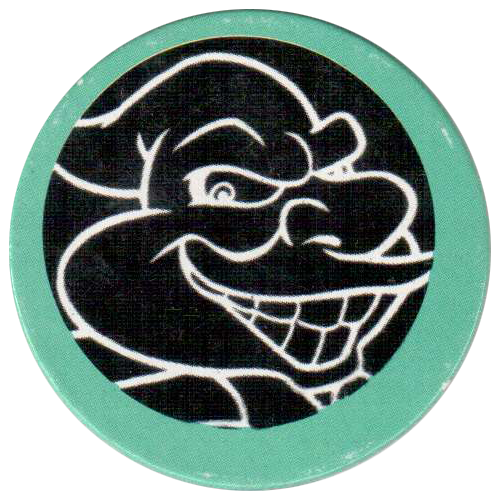 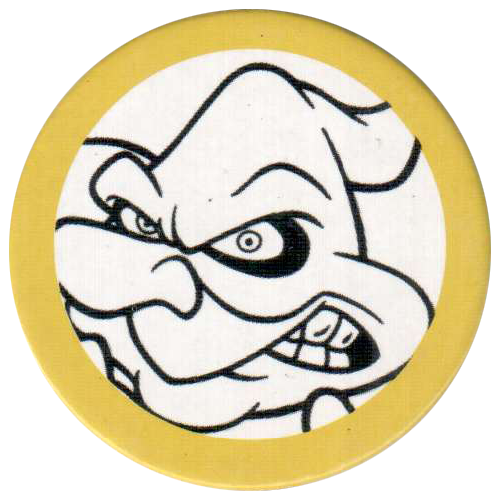 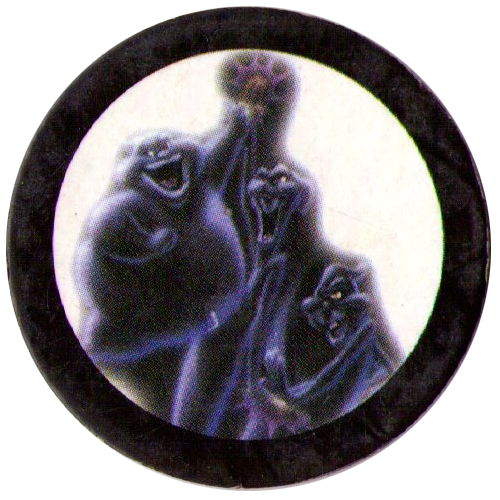 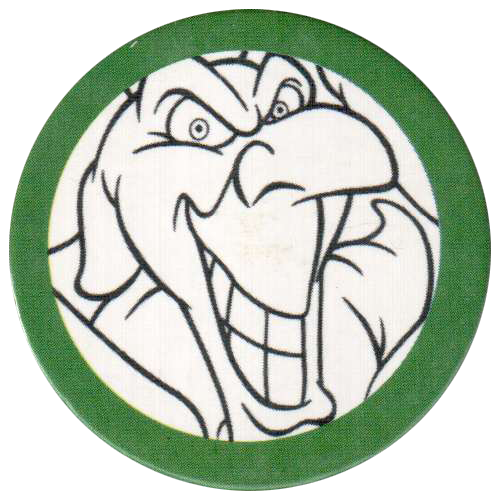 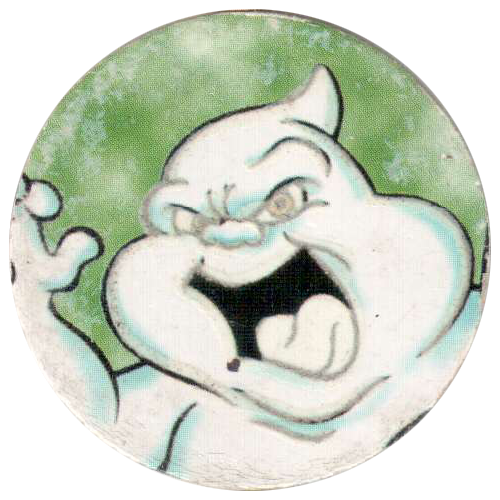 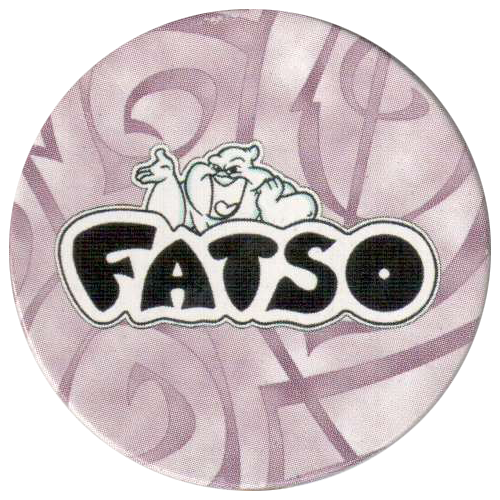 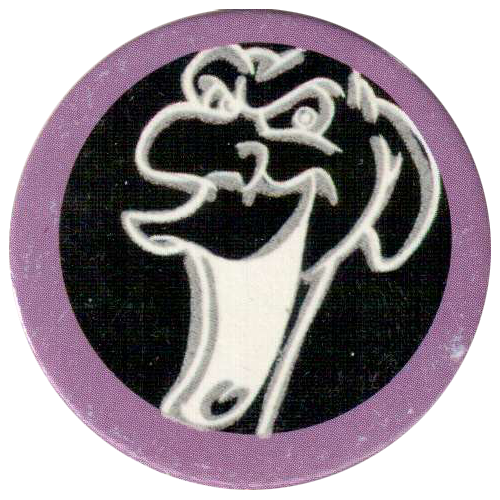 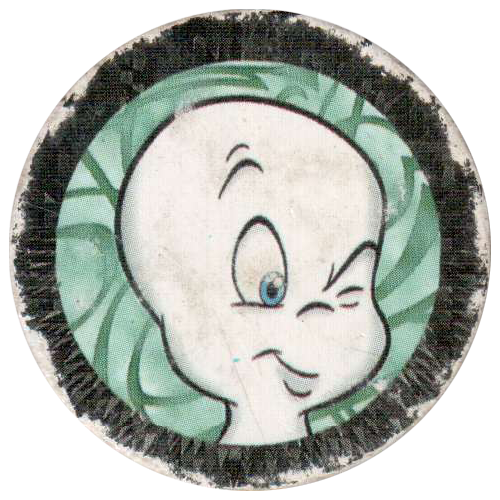 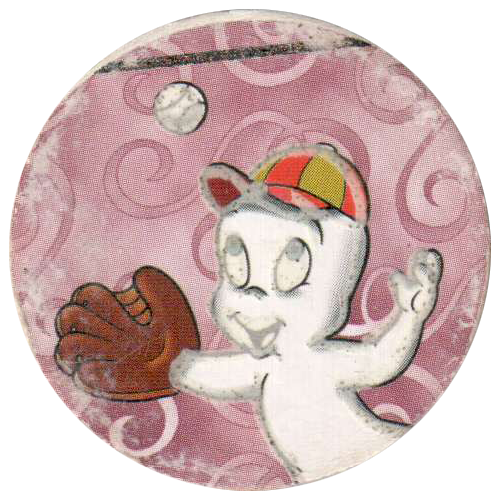 For more Casper pogs / milkcaps, see the World Pog Federation Canada Games Casper POG milkcaps, and Casper milkcaps.